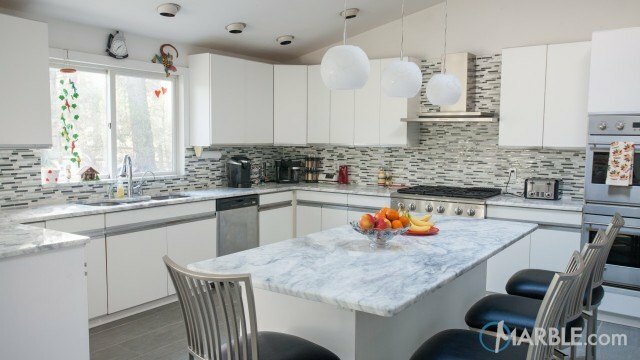 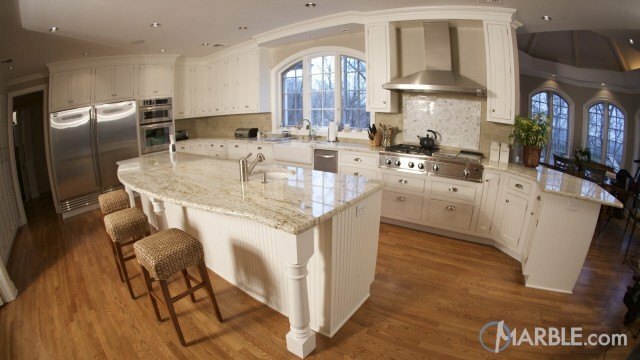 White Fantasy marble with an Ogee Edge brings dynamic character and appeal to this truly elegant open-concept kitchen. 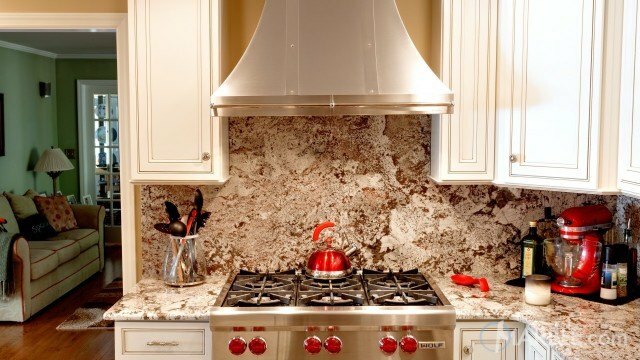 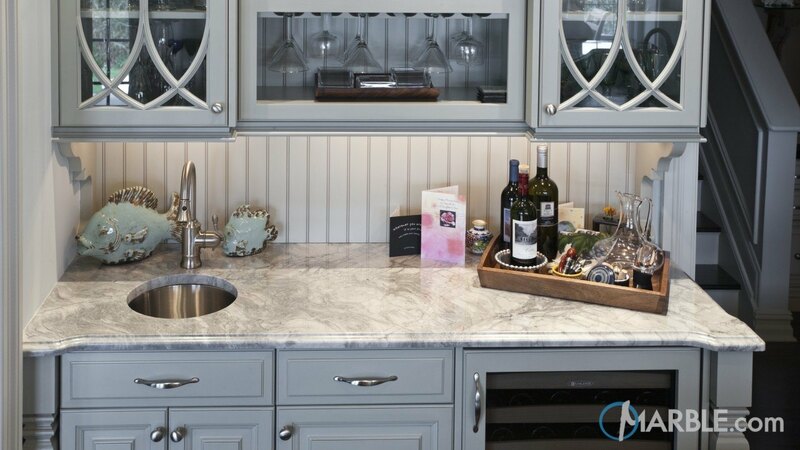 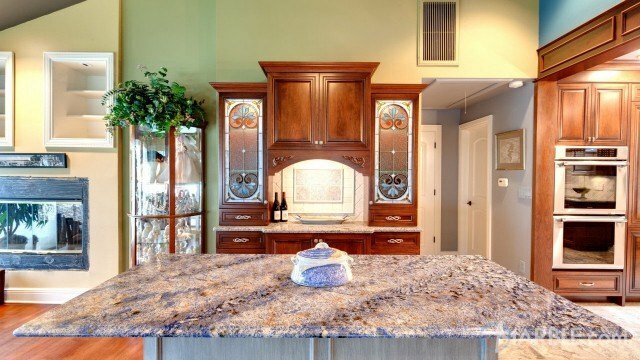 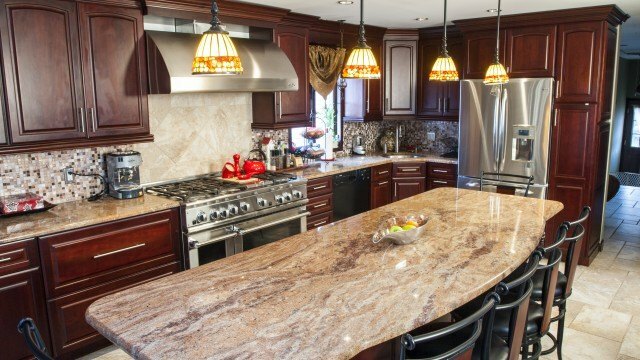 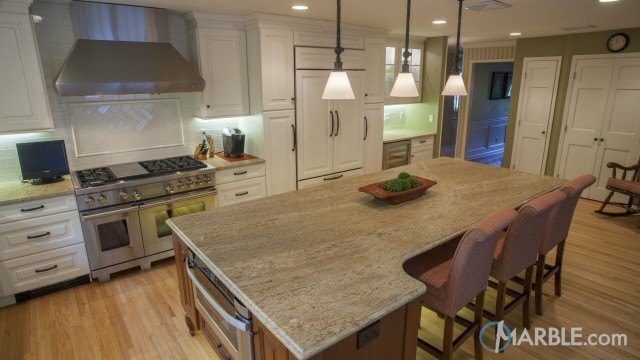 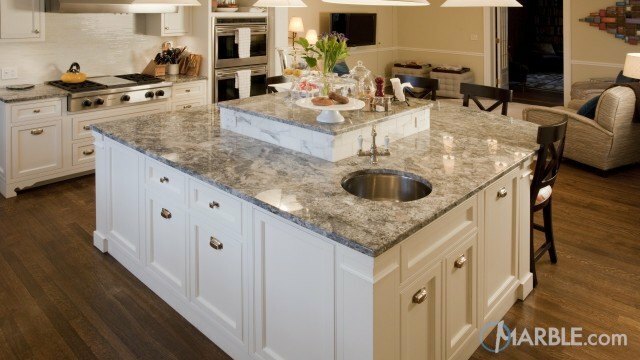 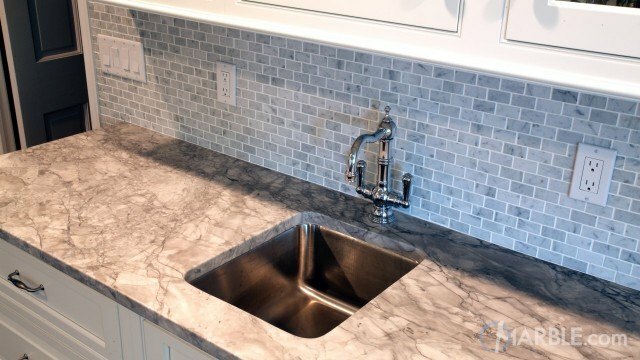 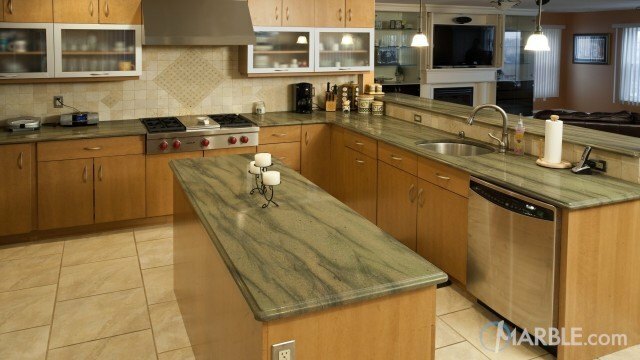 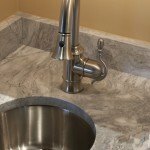 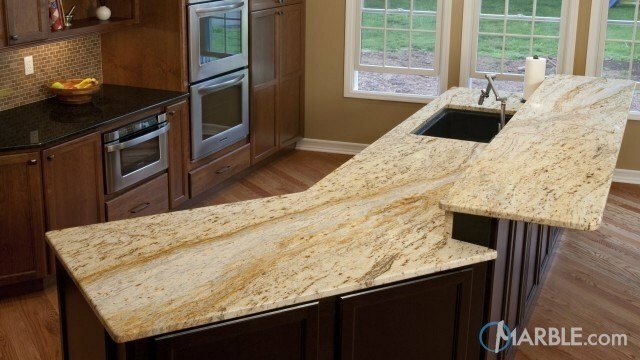 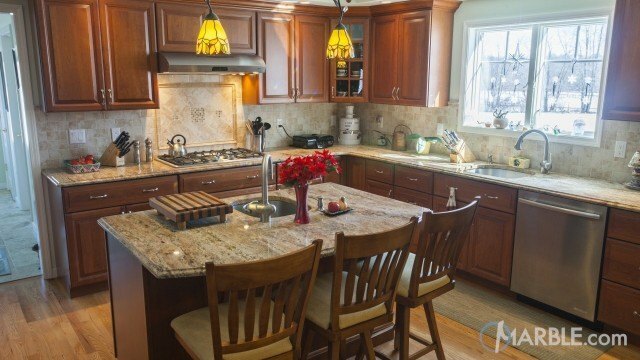 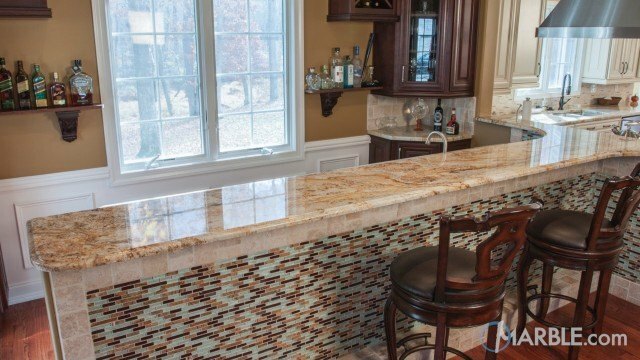 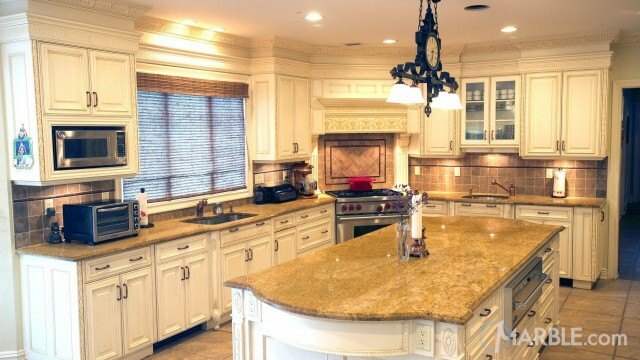 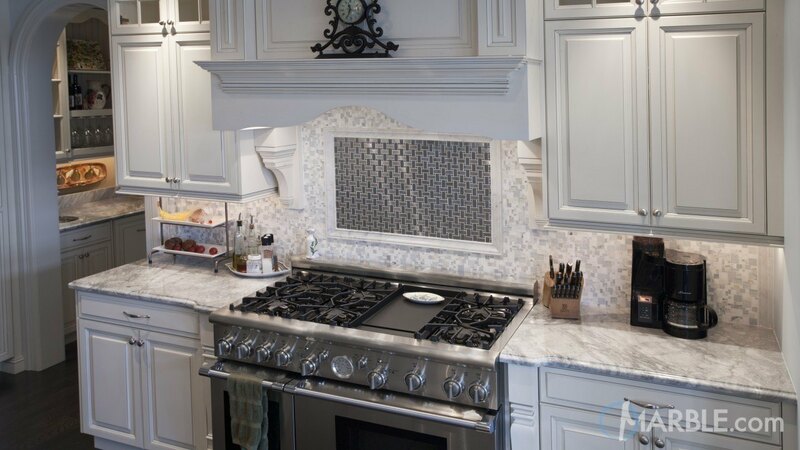 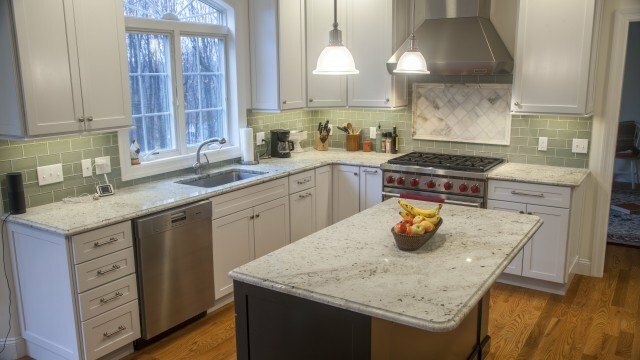 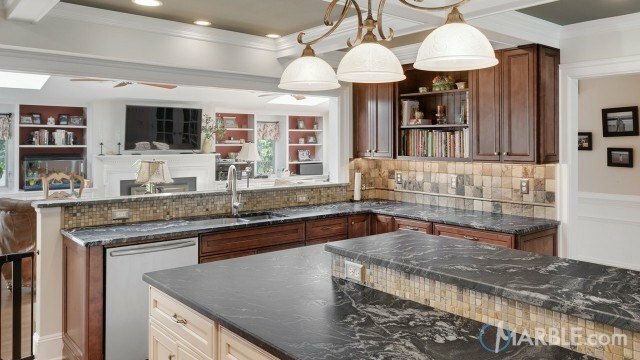 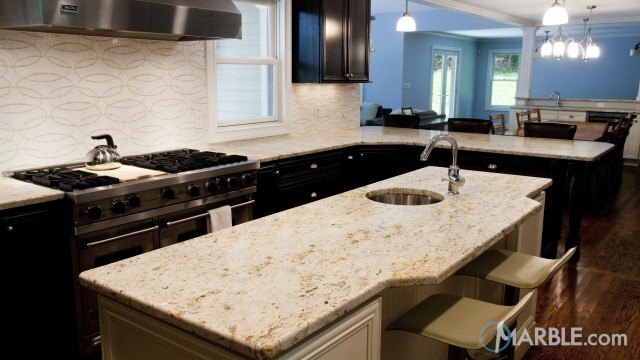 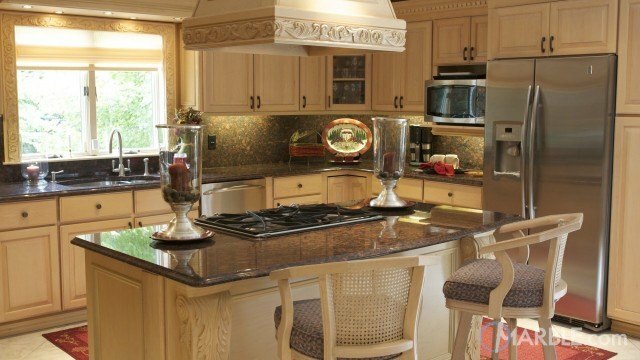 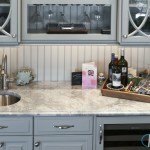 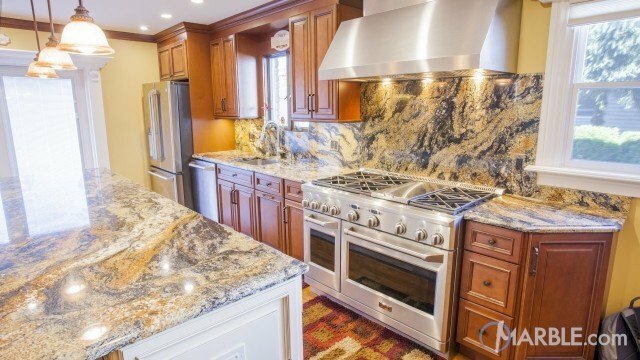 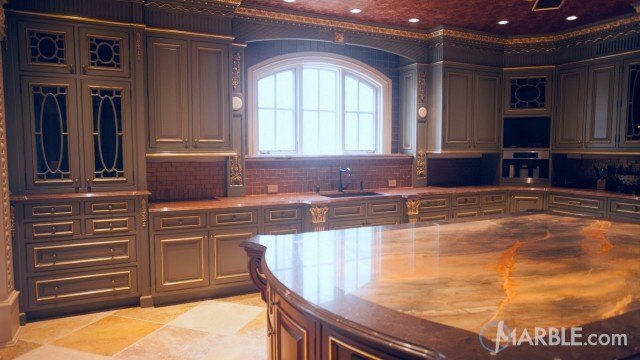 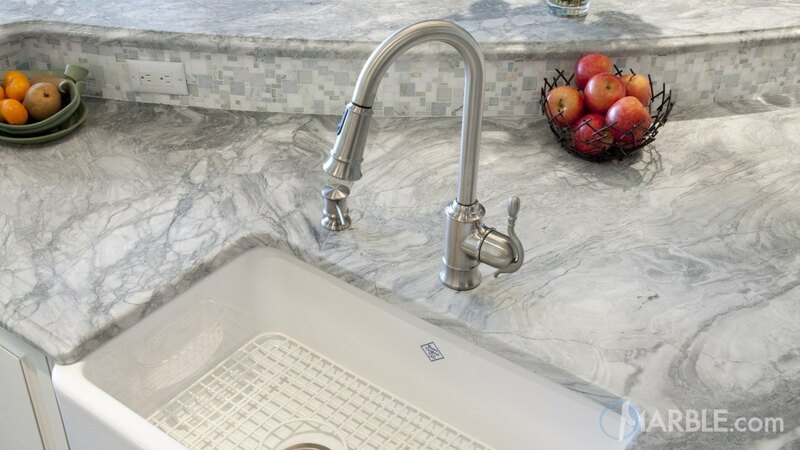 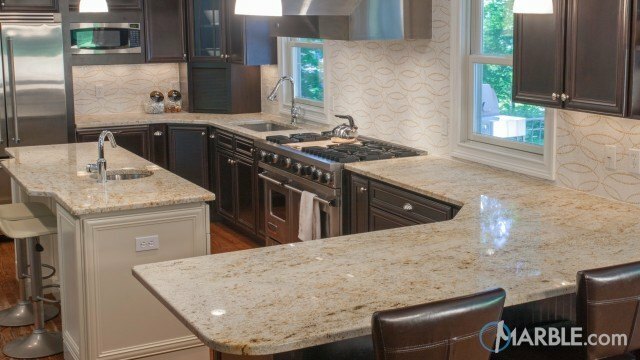 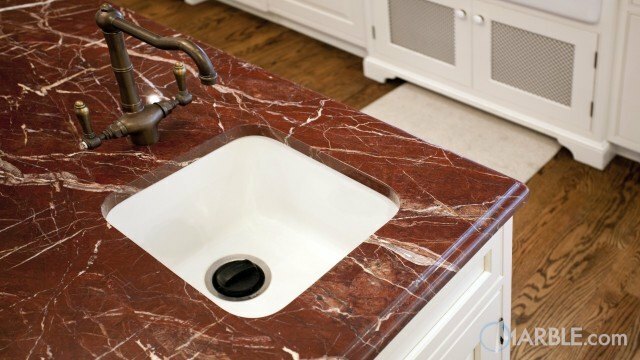 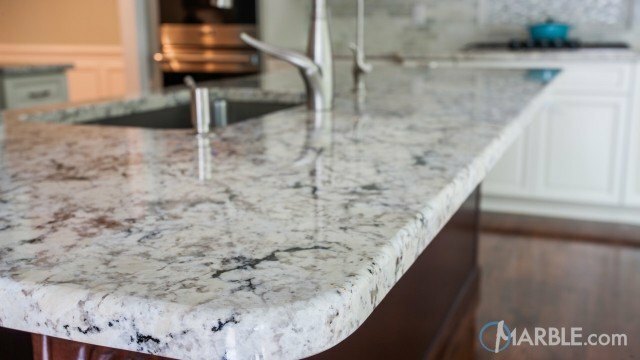 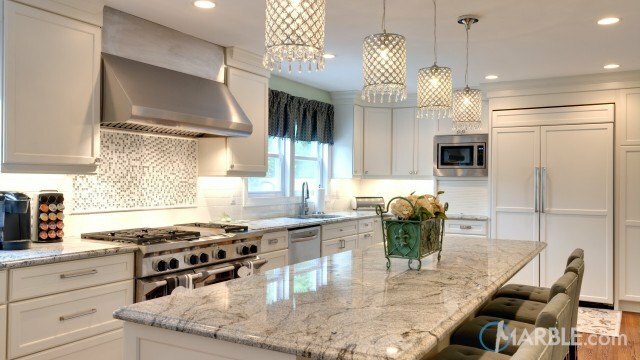 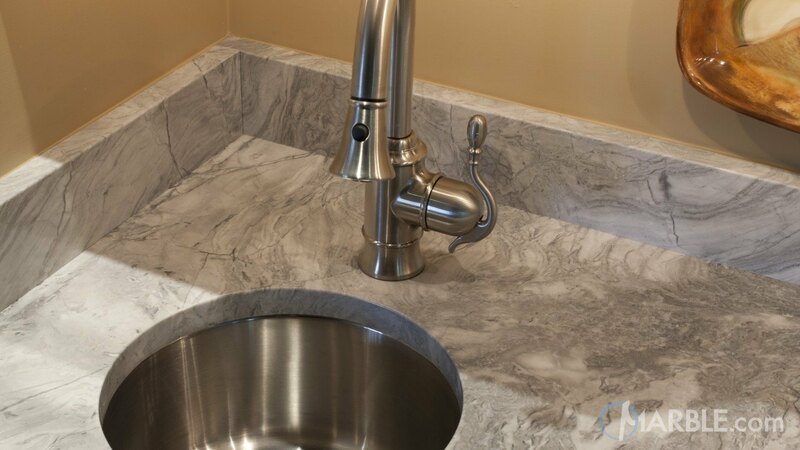 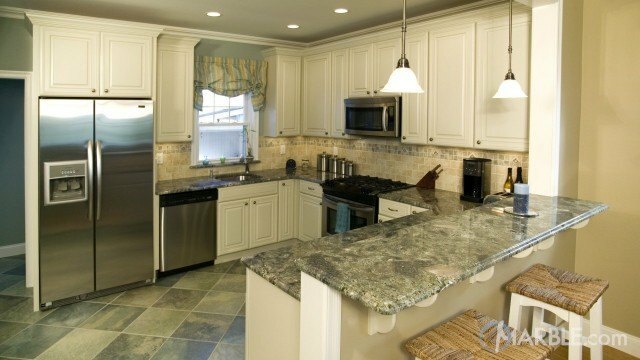 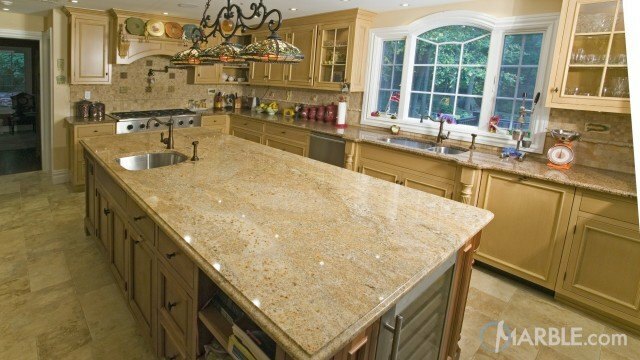 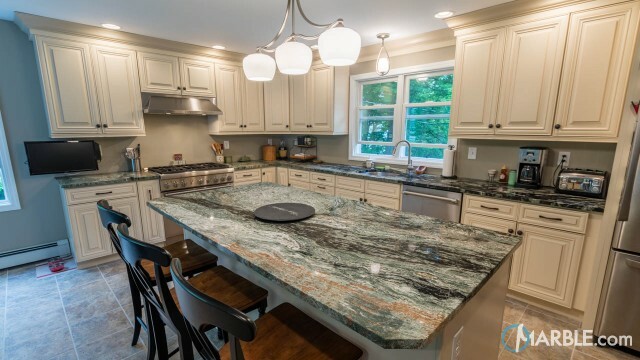 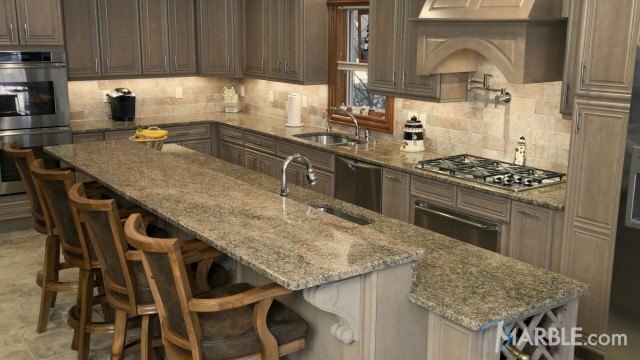 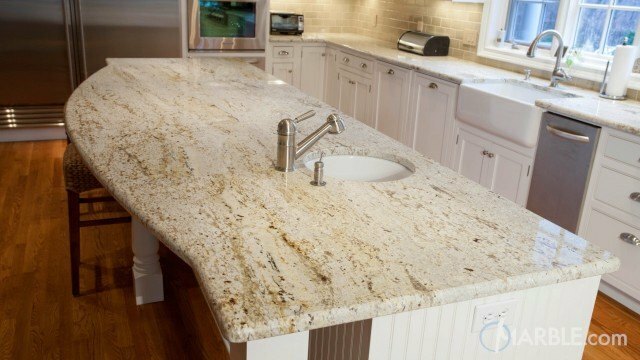 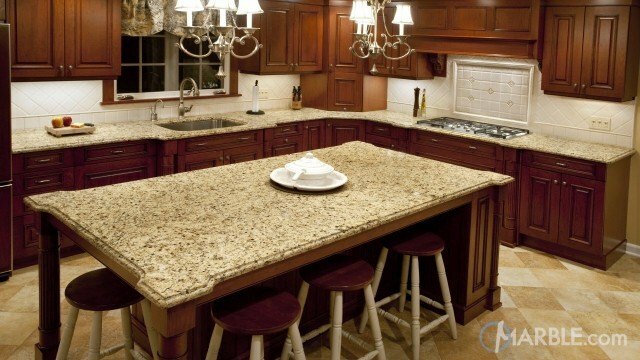 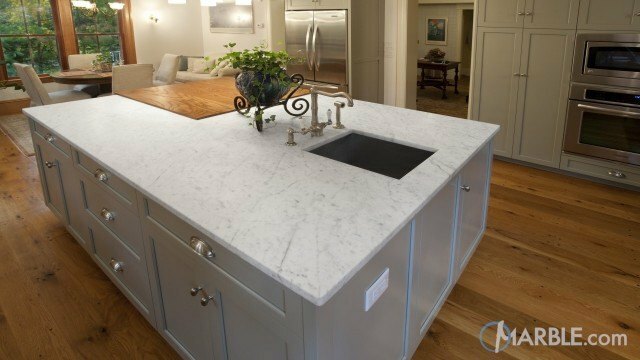 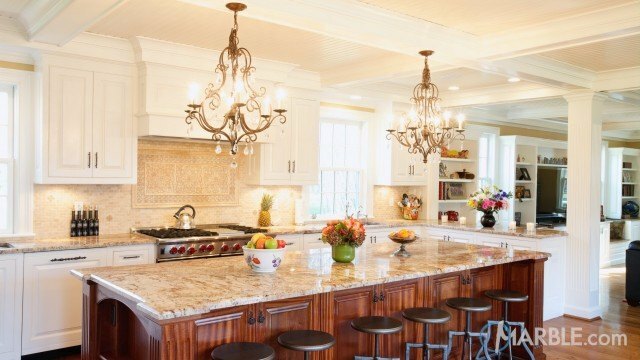 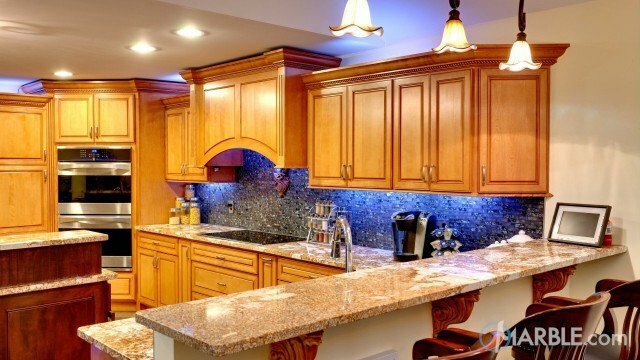 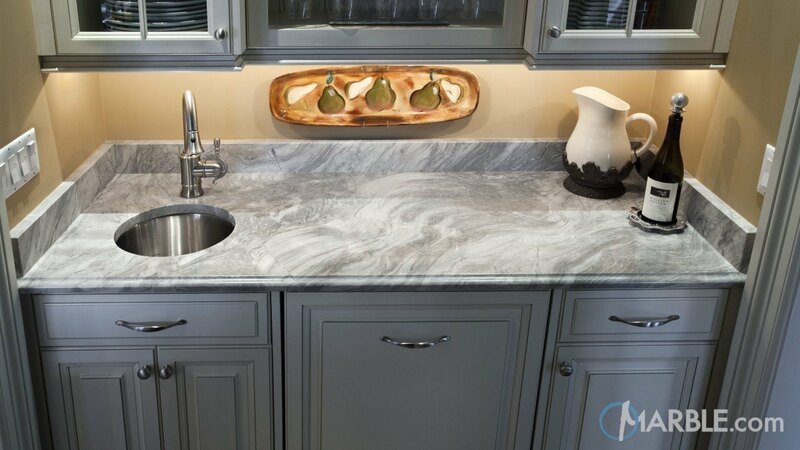 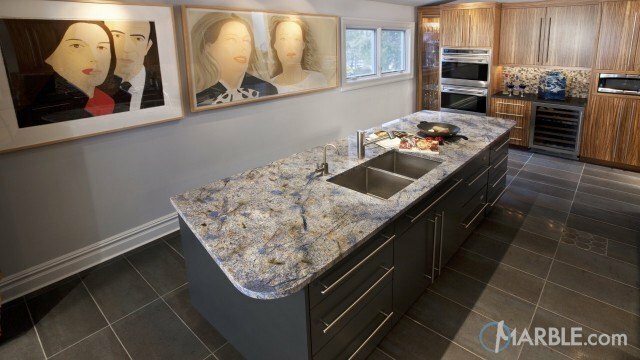 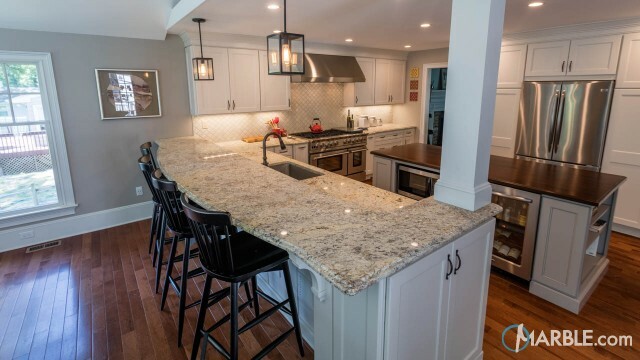 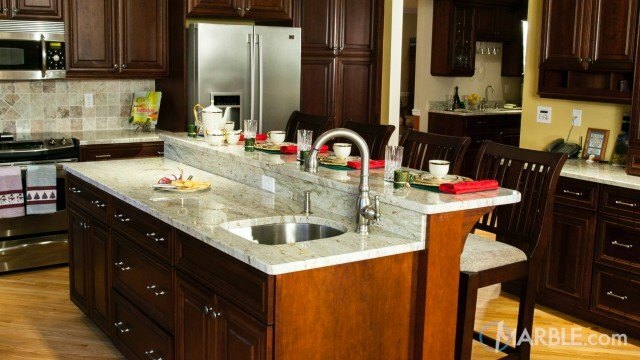 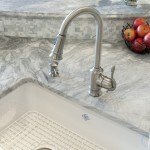 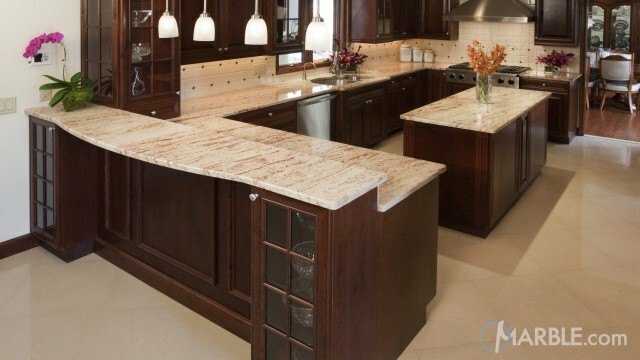 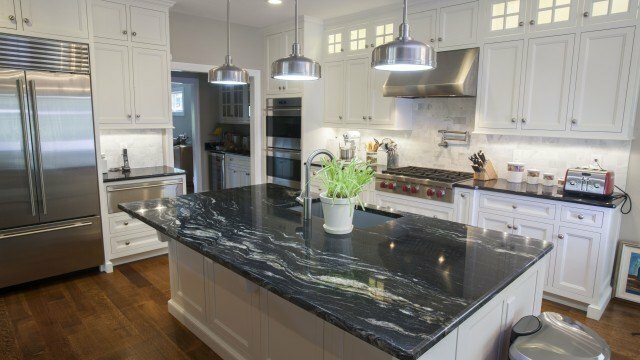 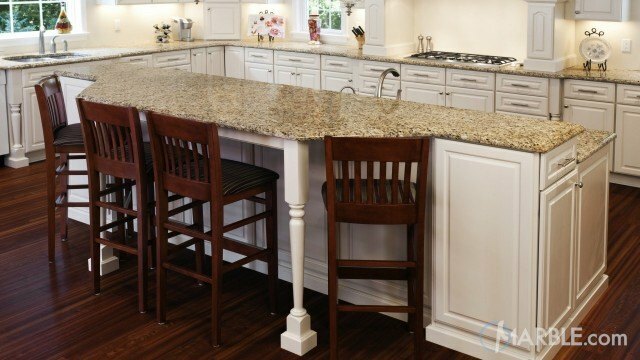 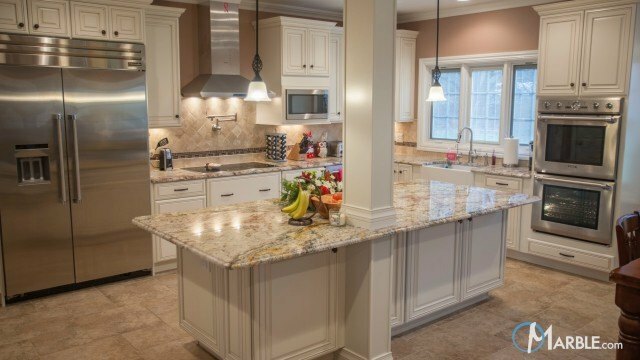 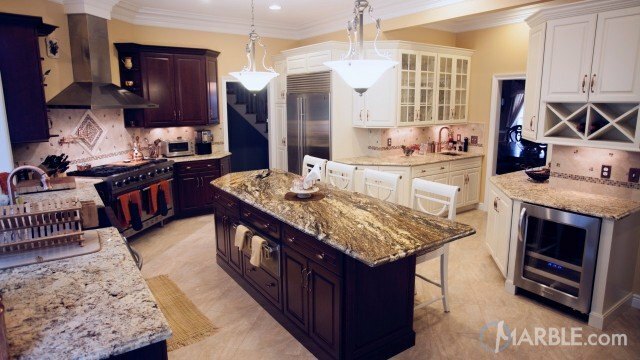 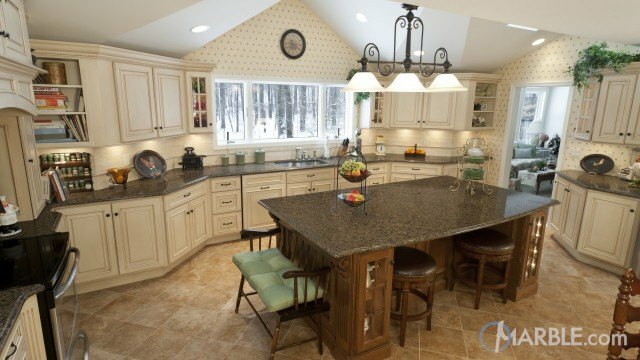 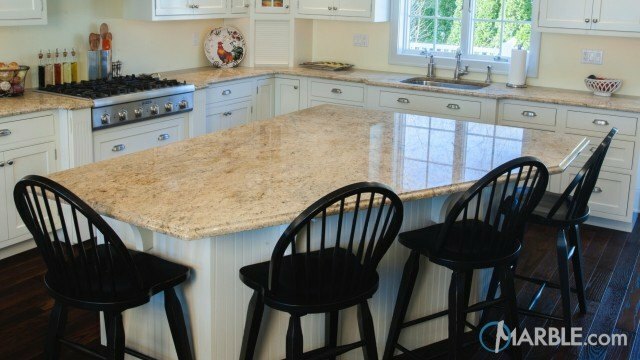 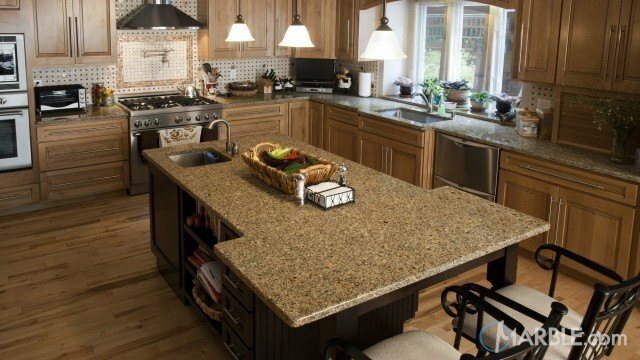 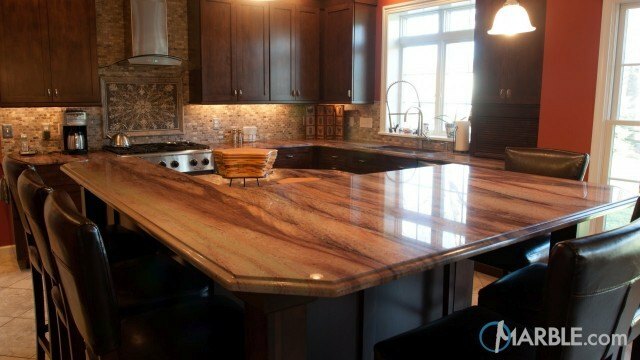 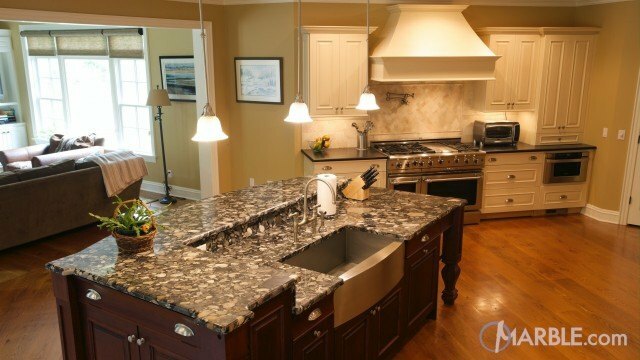 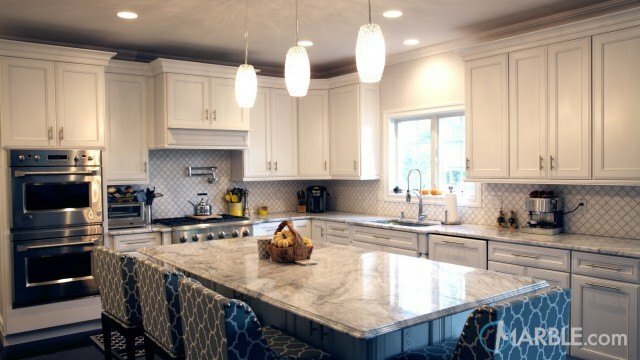 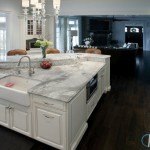 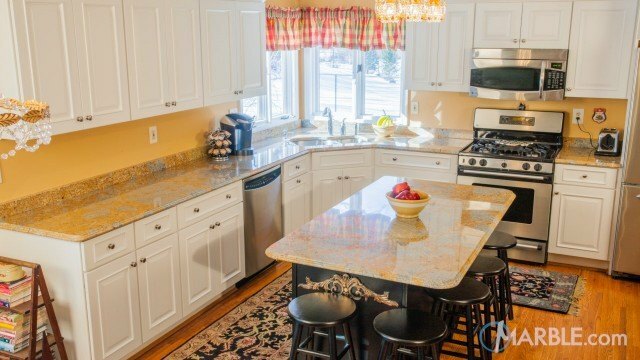 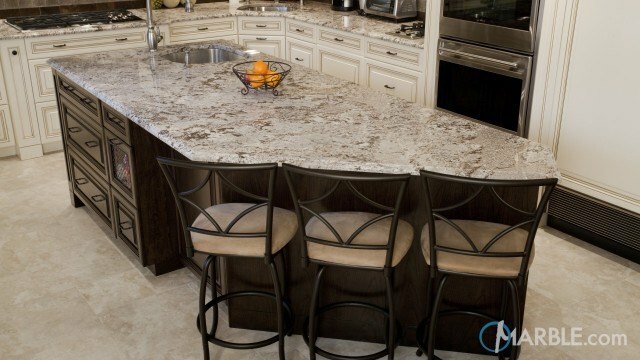 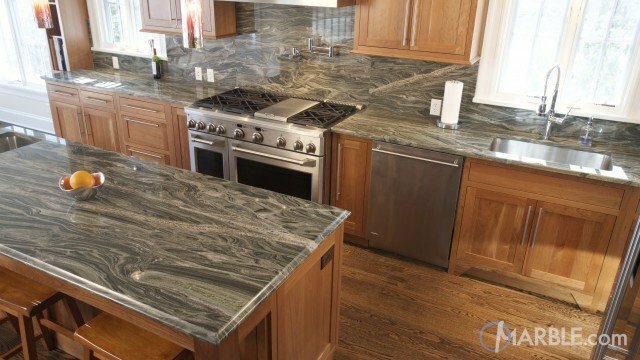 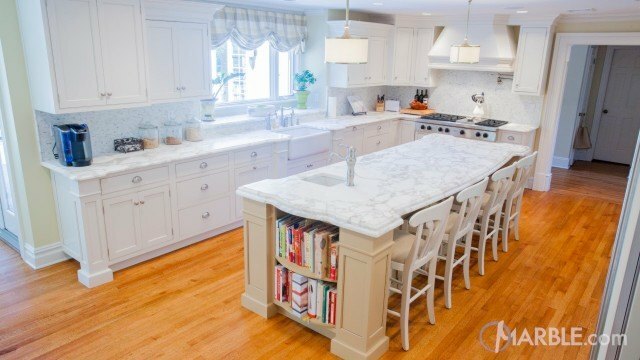 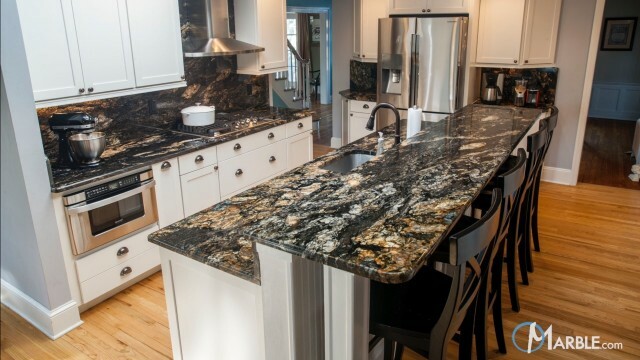 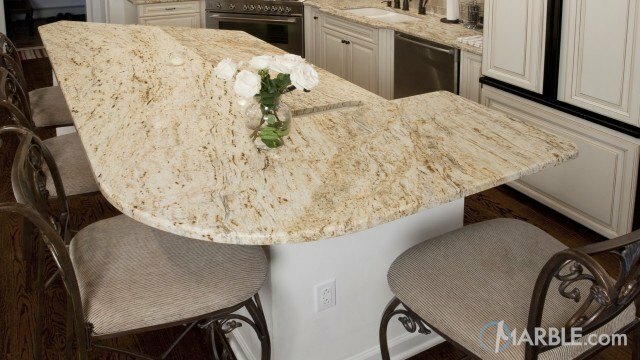 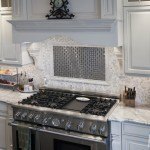 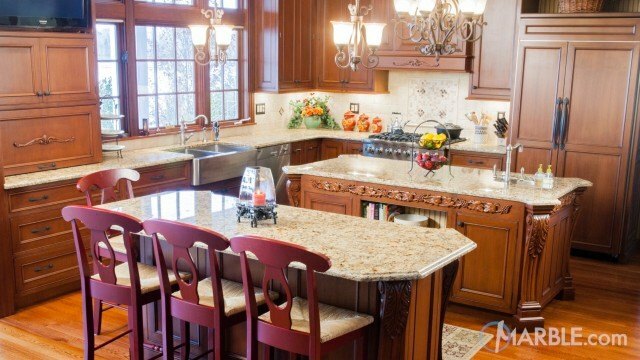 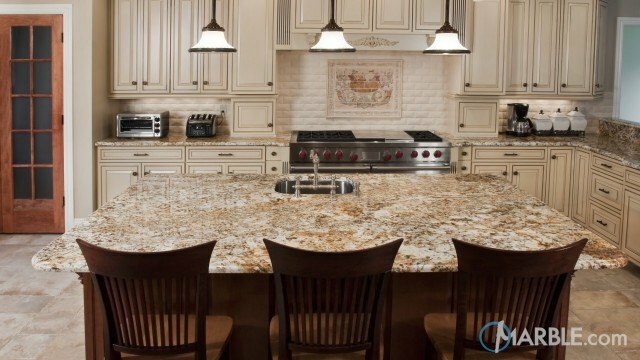 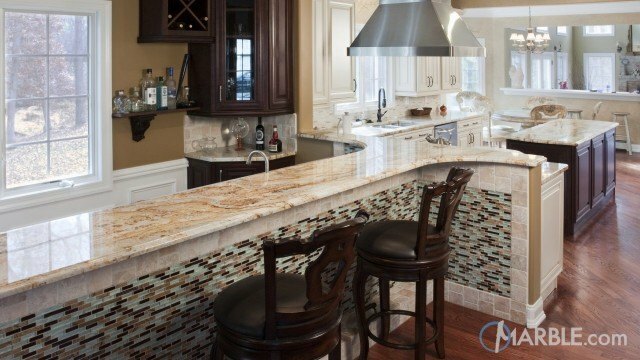 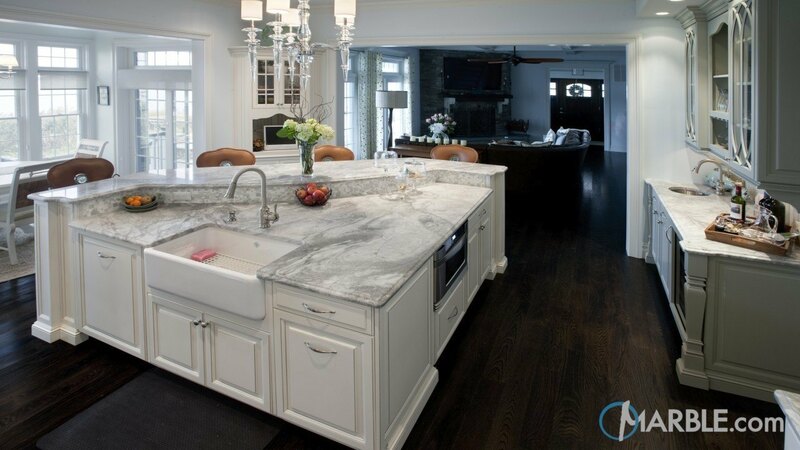 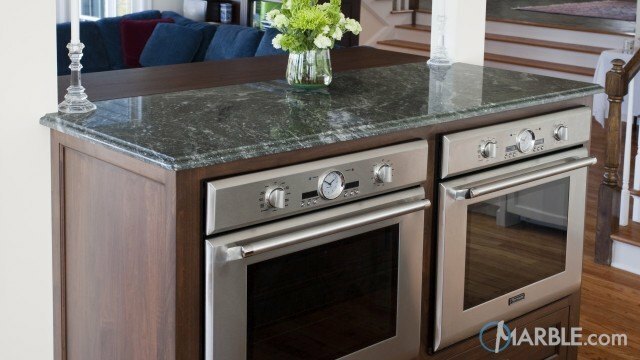 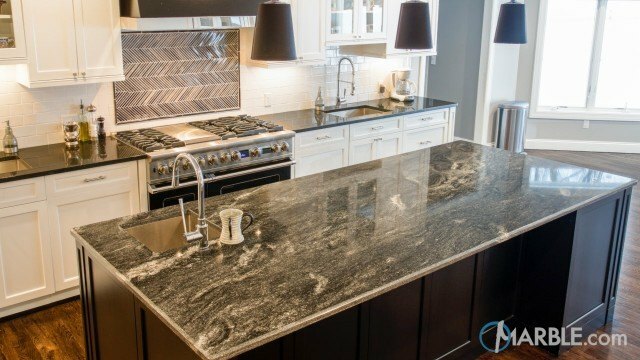 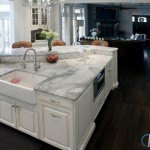 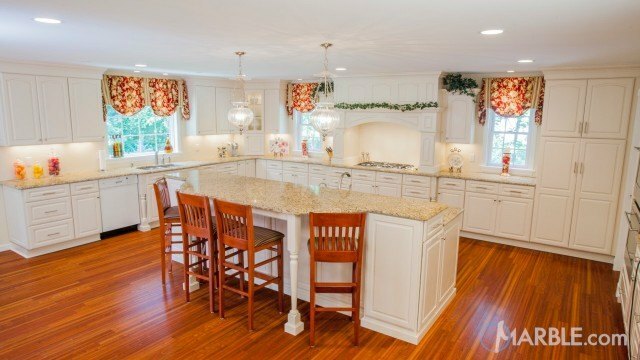 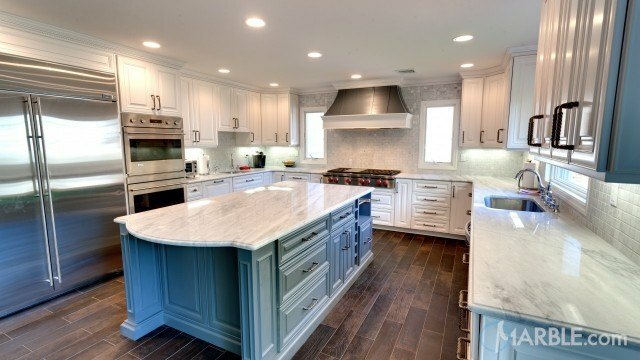 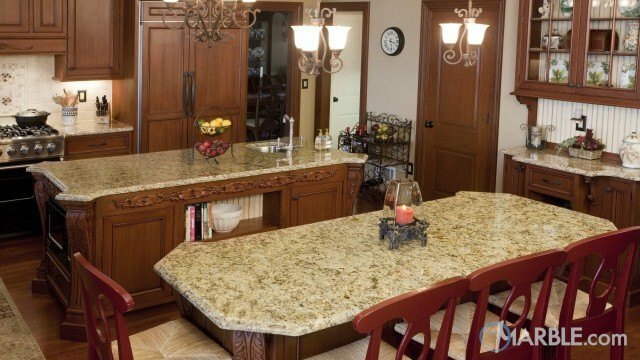 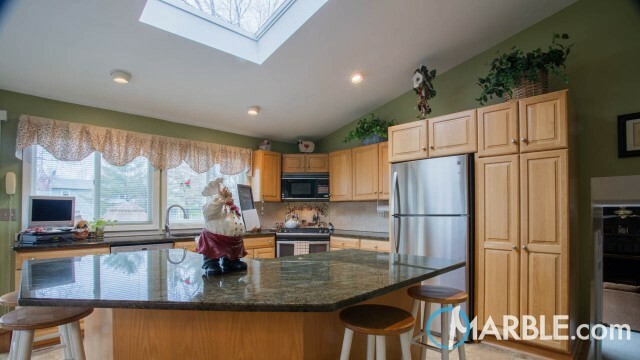 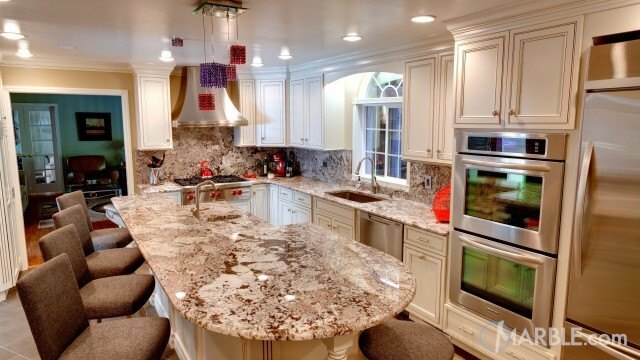 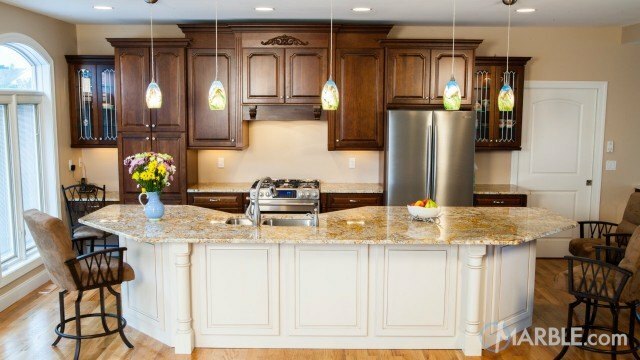 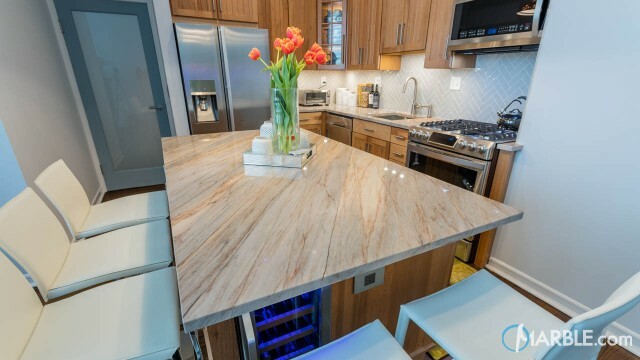 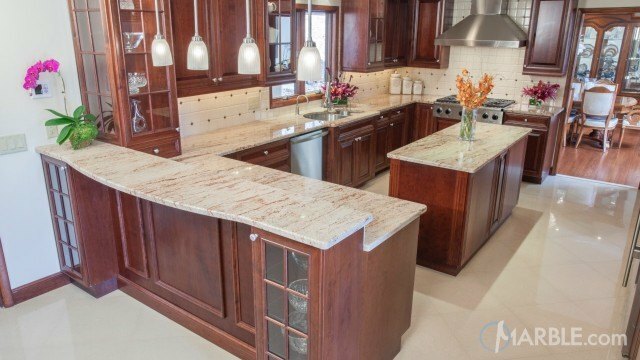 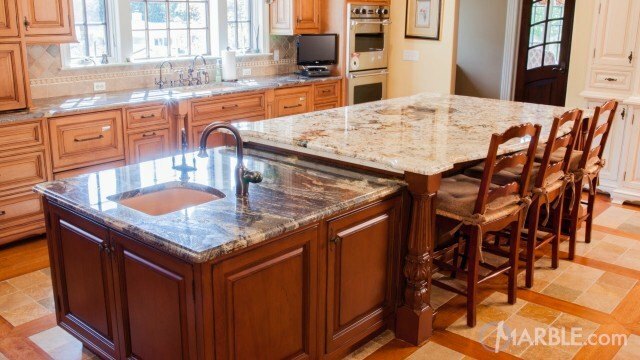 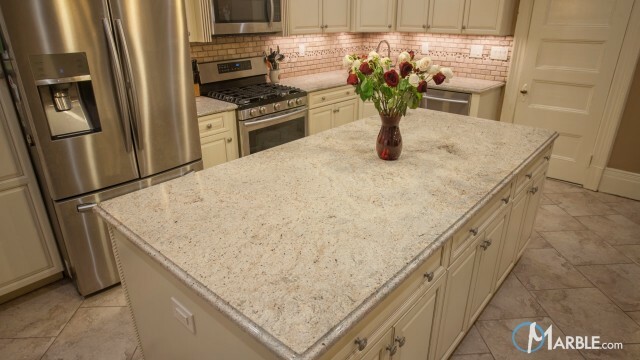 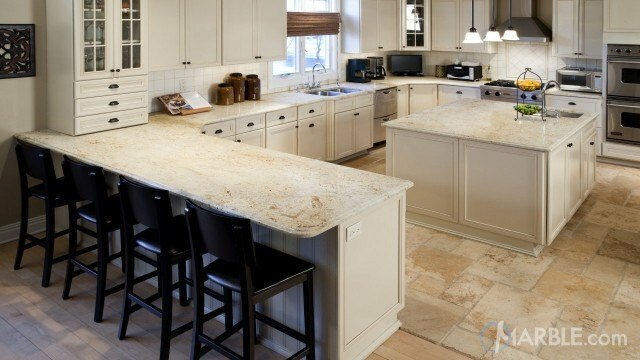 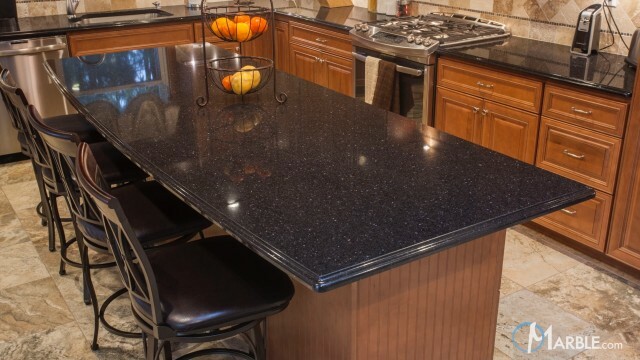 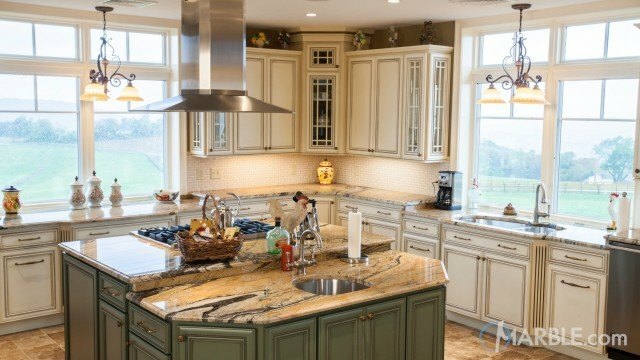 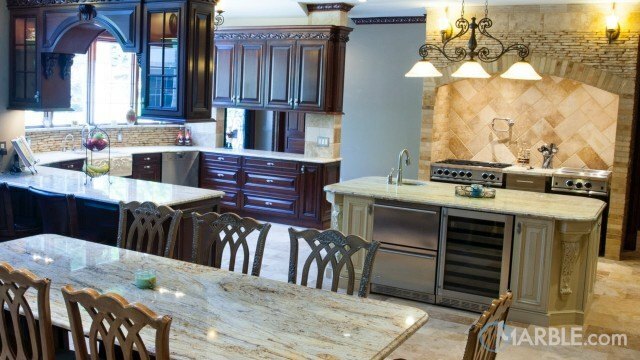 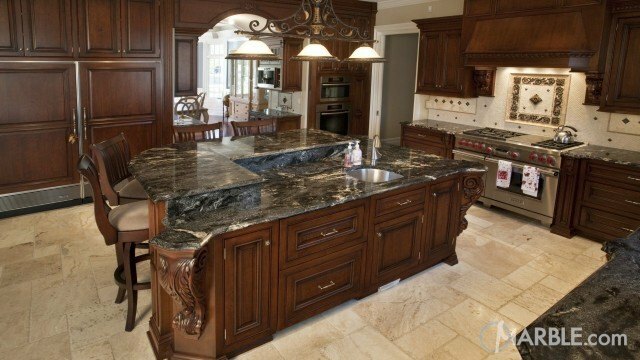 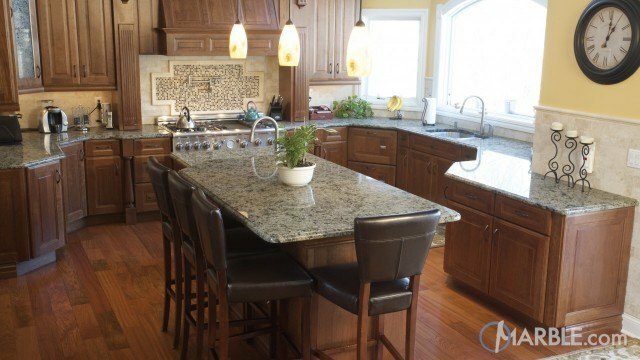 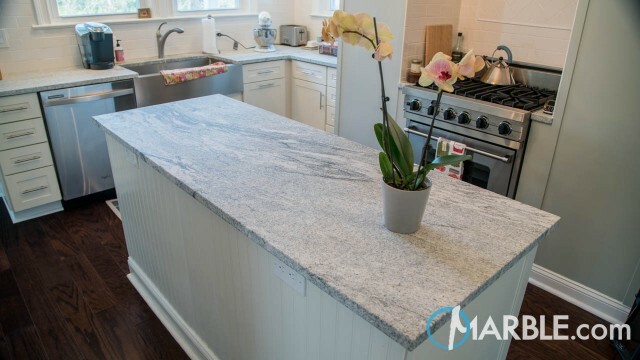 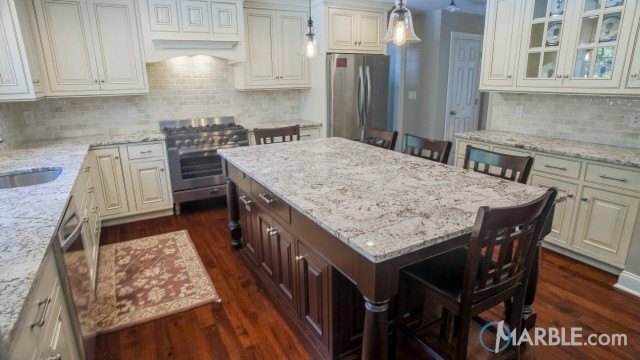 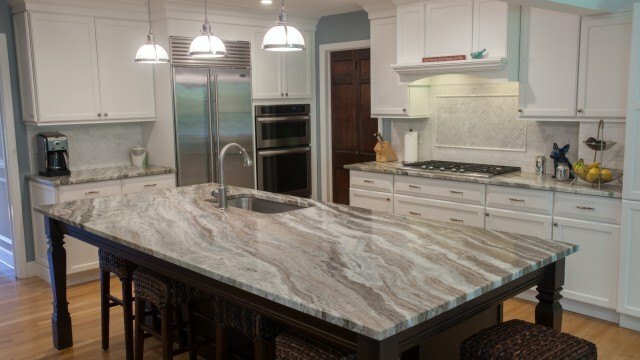 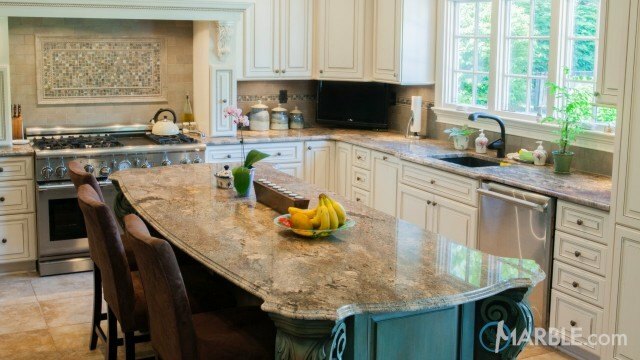 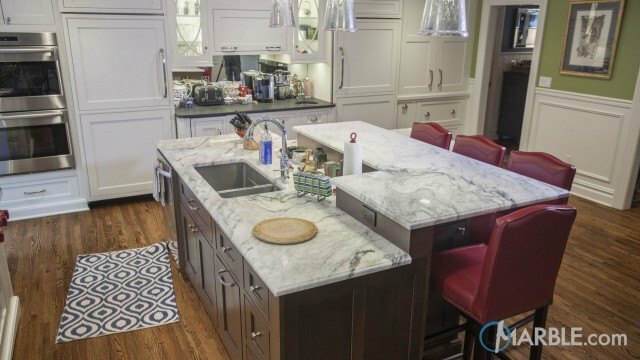 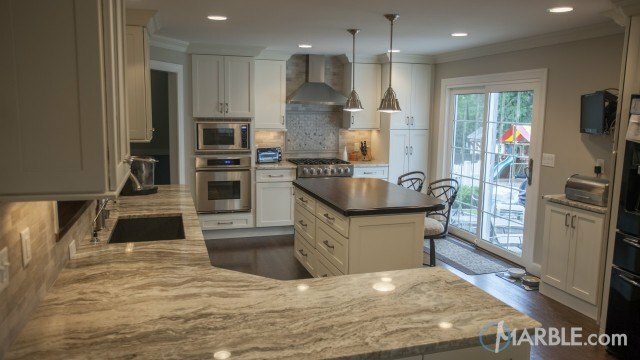 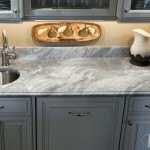 A large two-tiered center island showcases the natural swirls and veins of the marble. 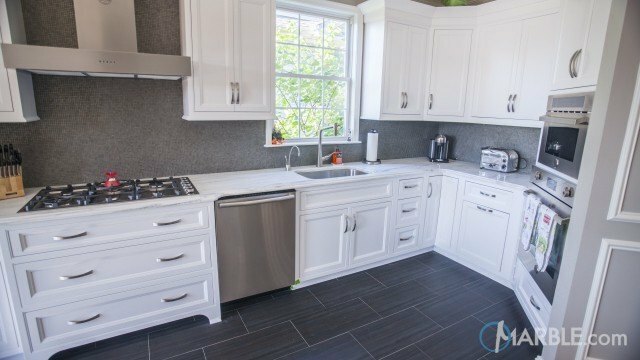 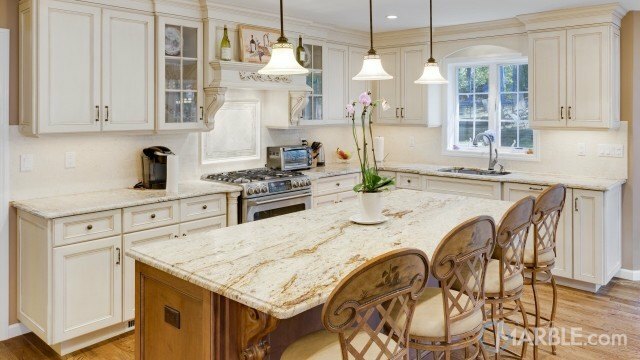 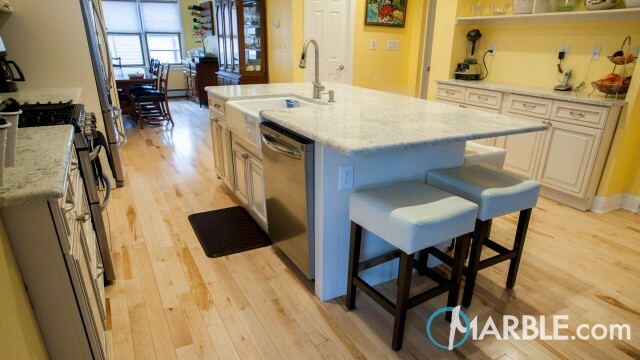 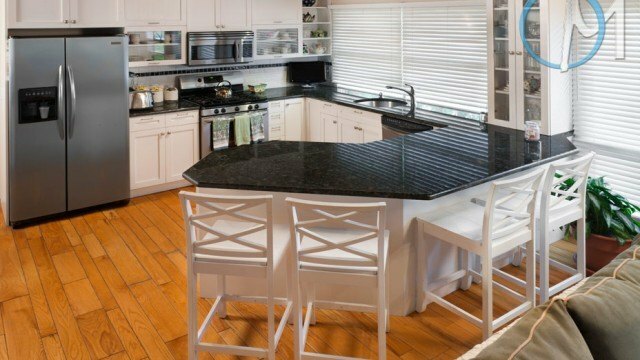 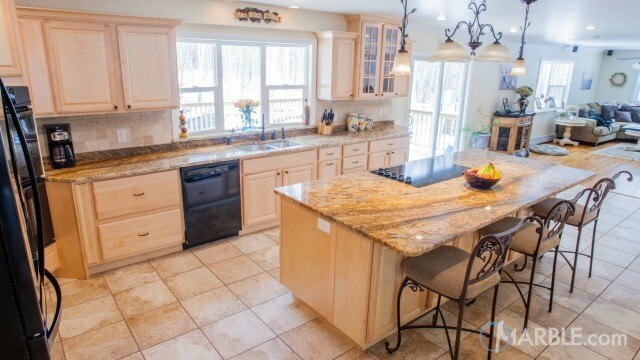 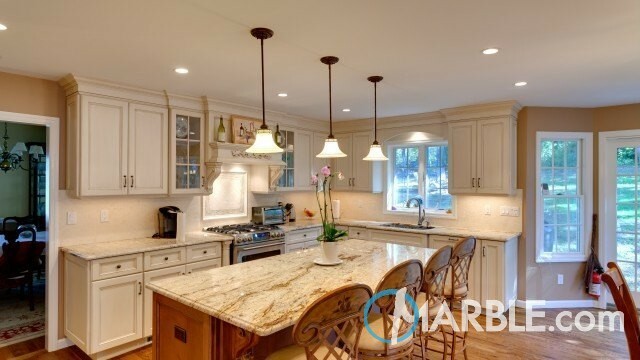 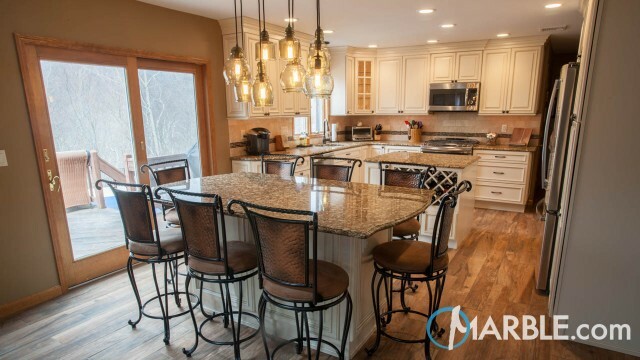 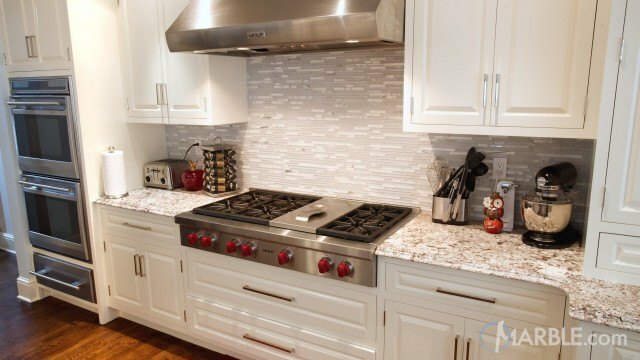 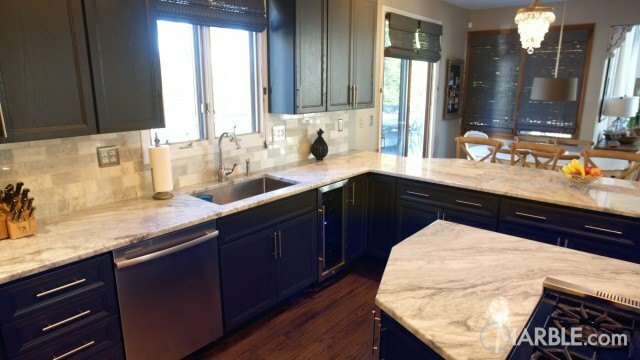 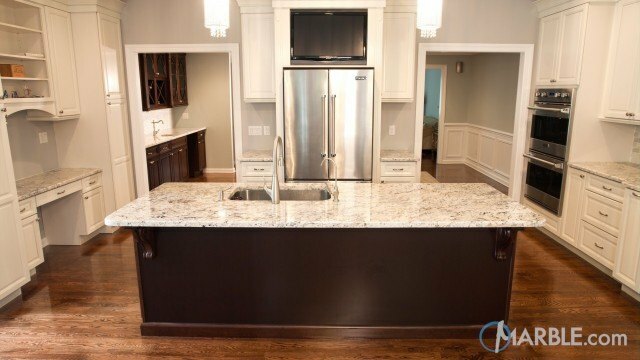 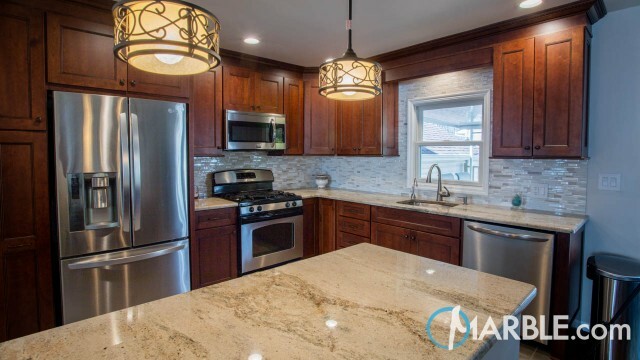 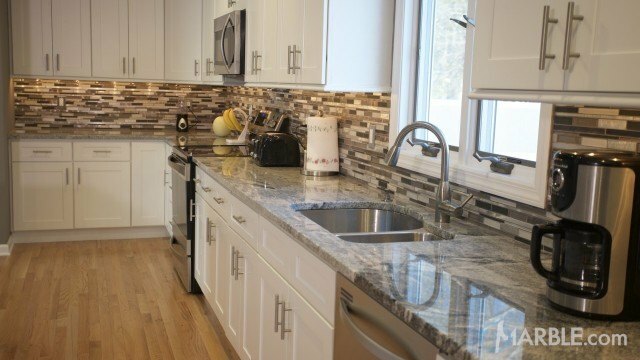 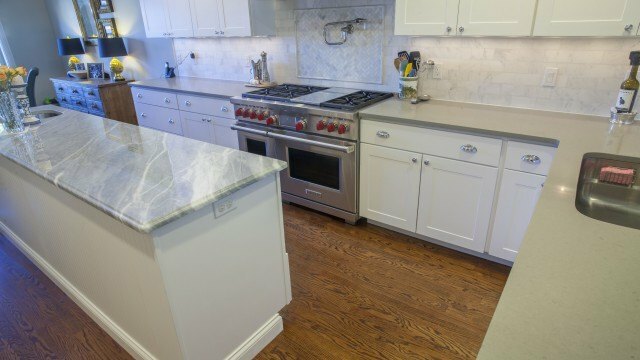 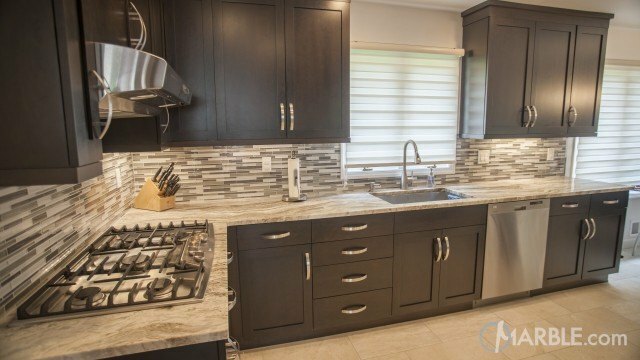 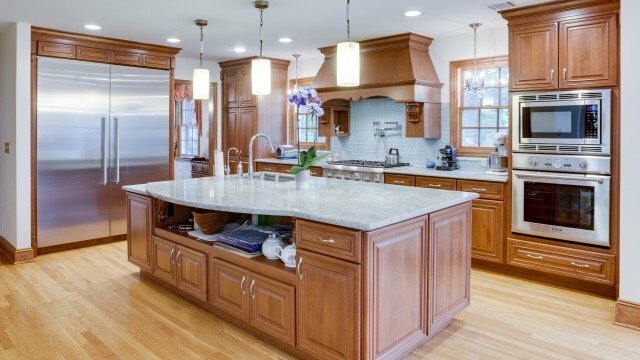 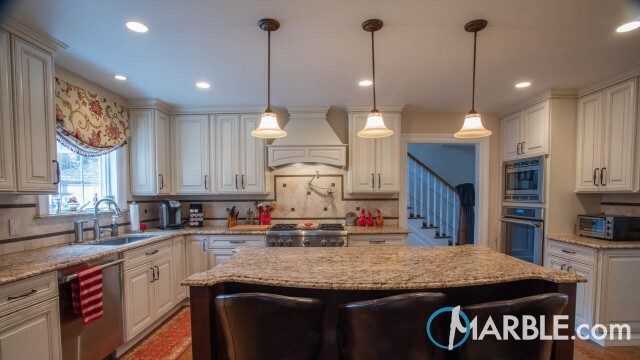 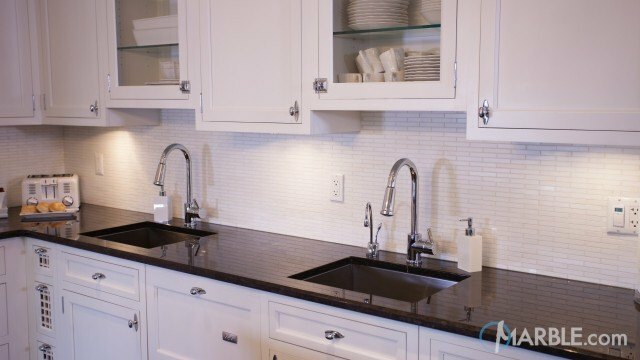 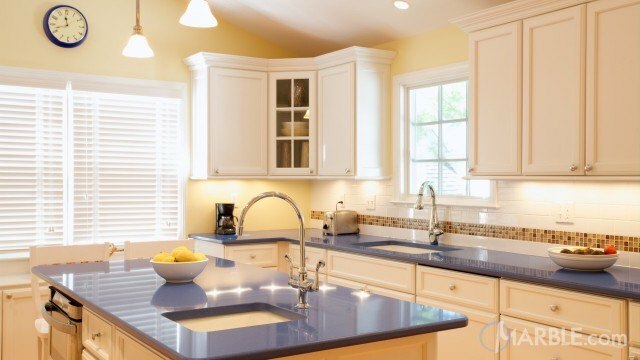 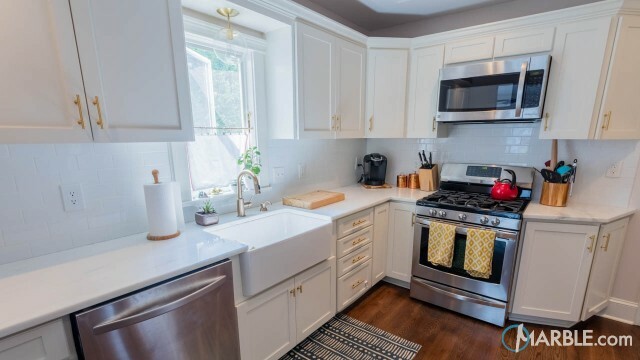 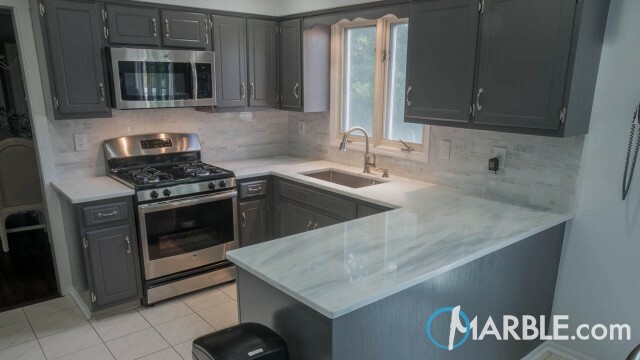 White cabinets are the perfect base for the marble, while dark brown hardwood floors provide wonderful contrast. 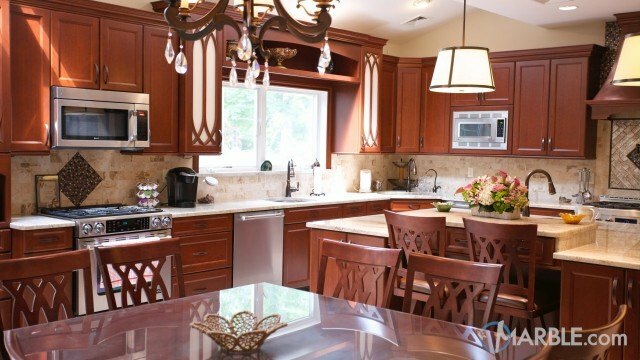 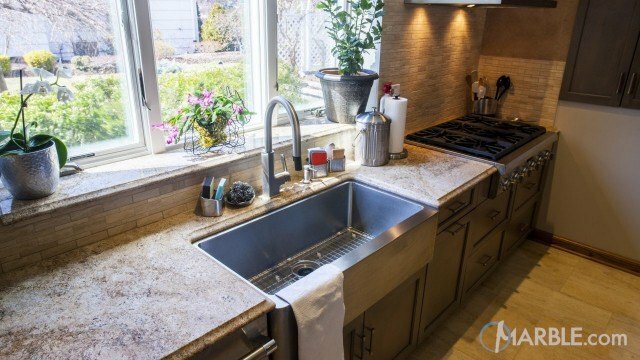 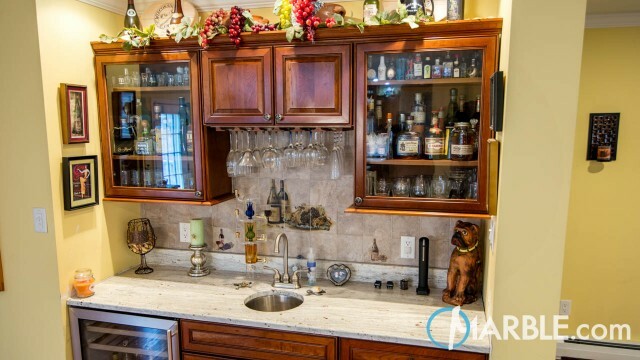 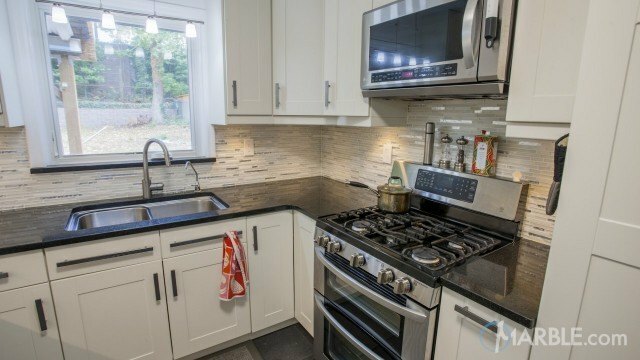 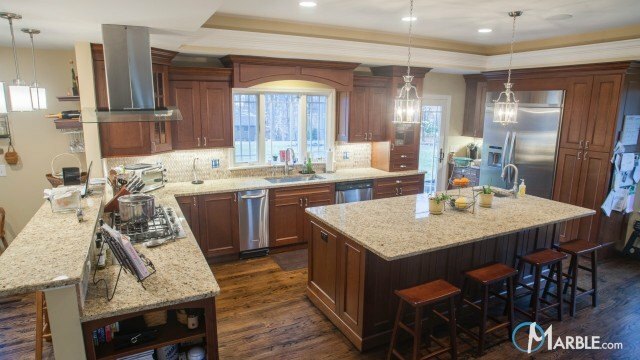 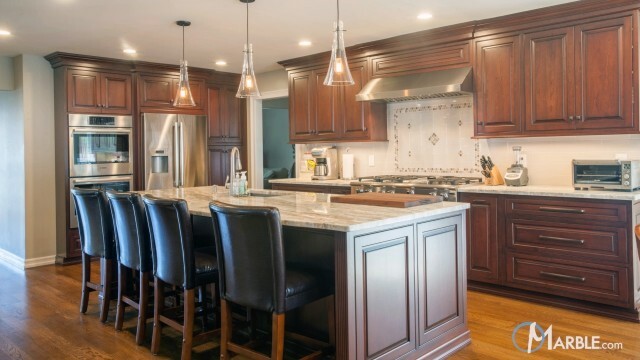 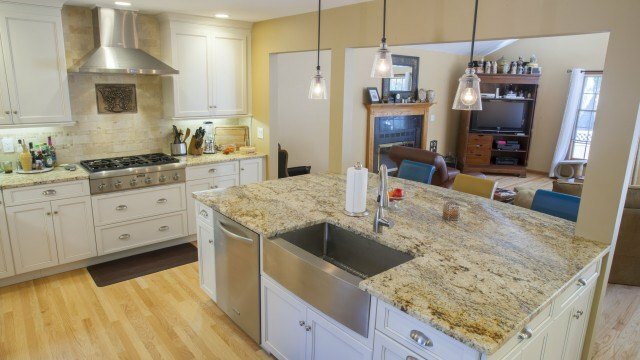 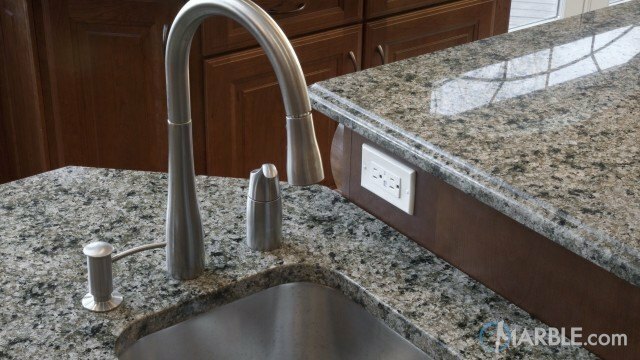 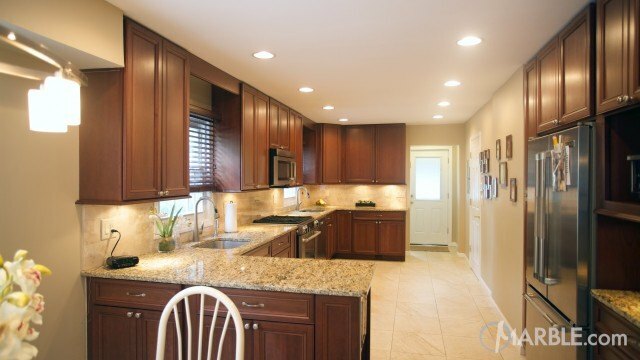 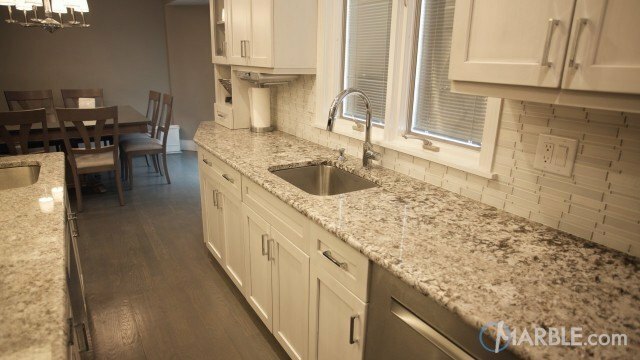 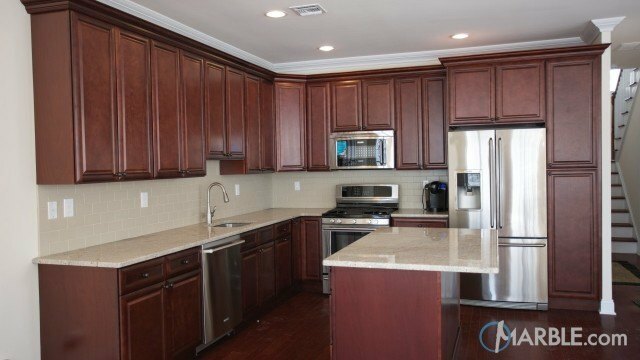 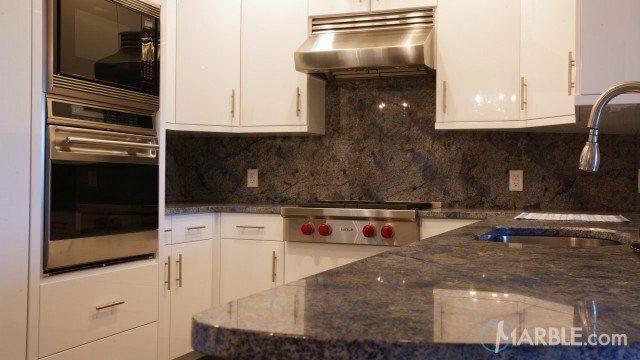 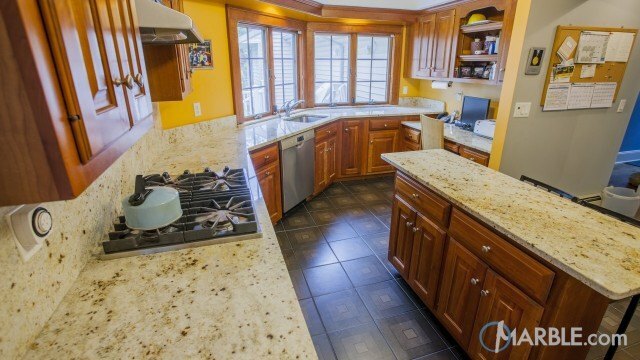 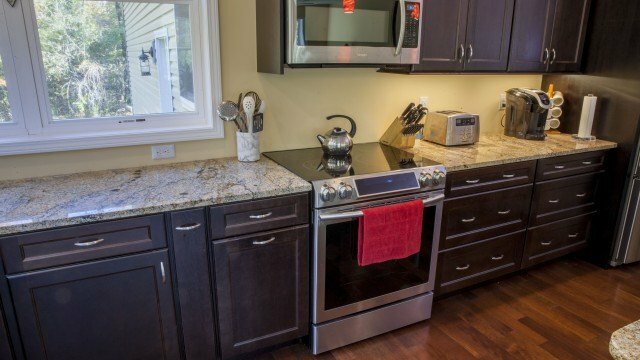 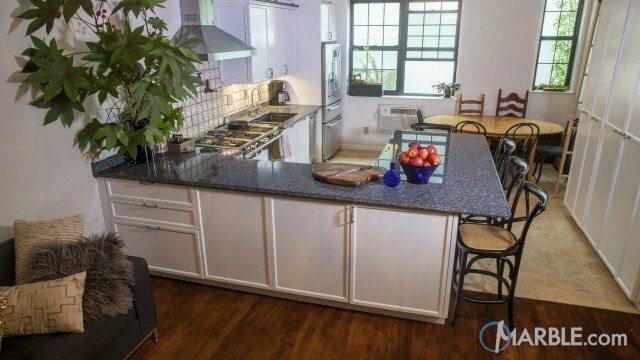 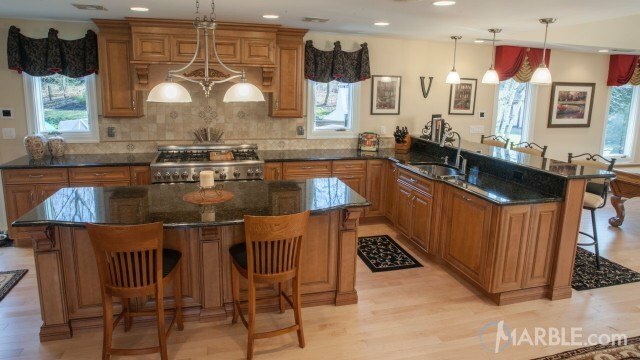 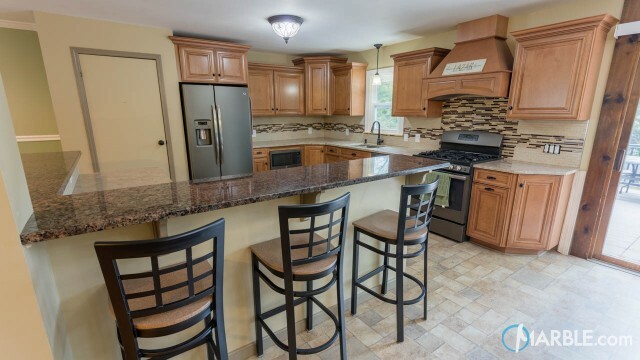 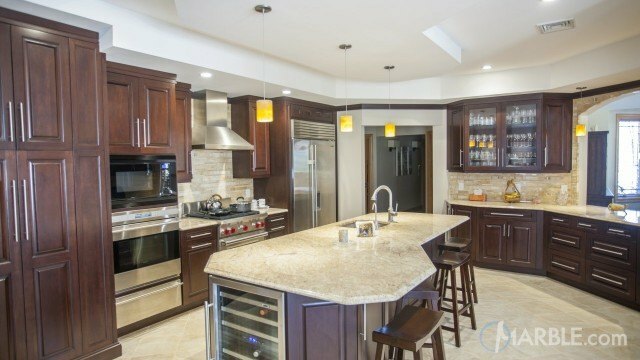 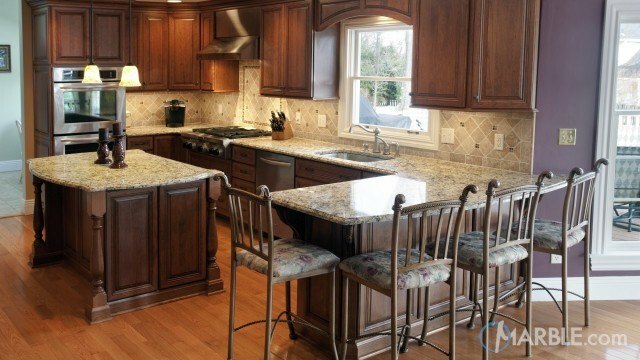 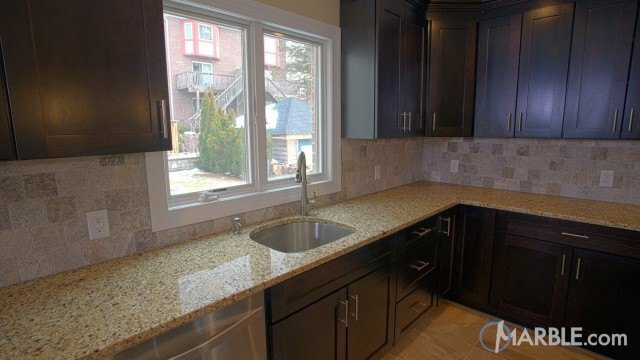 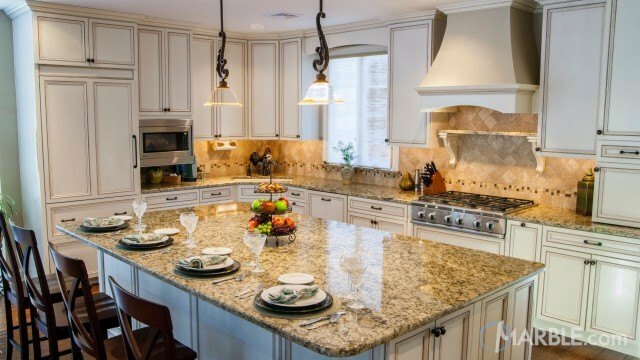 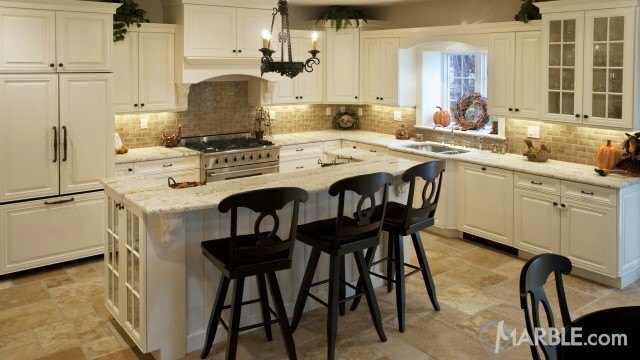 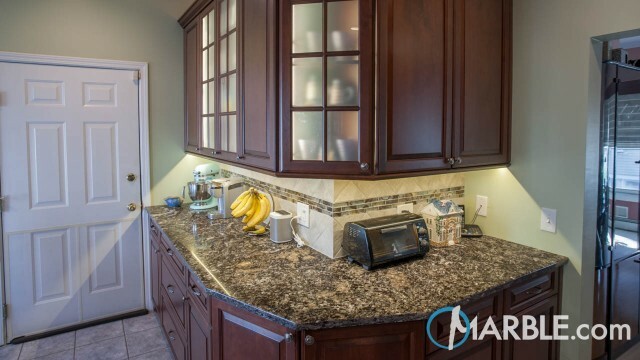 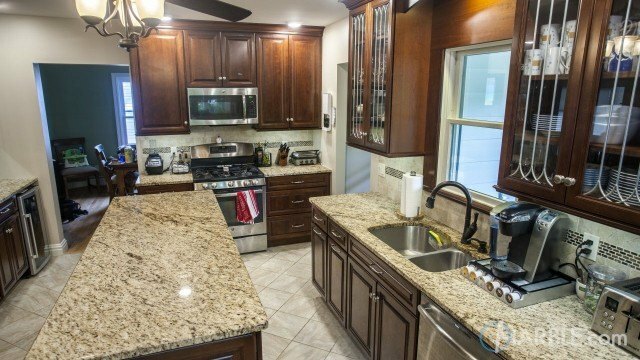 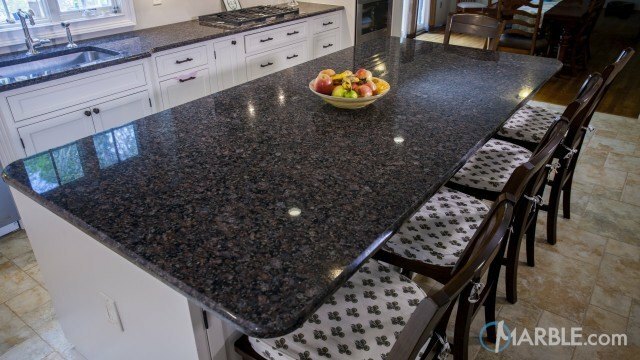 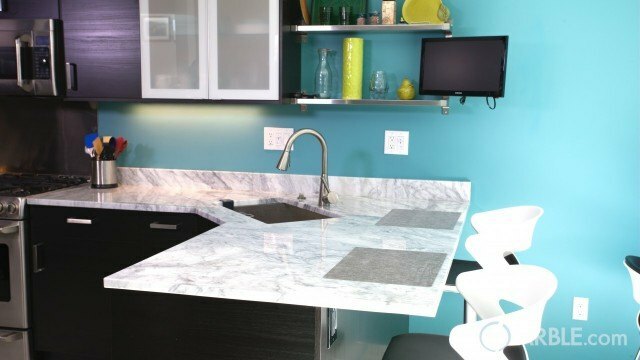 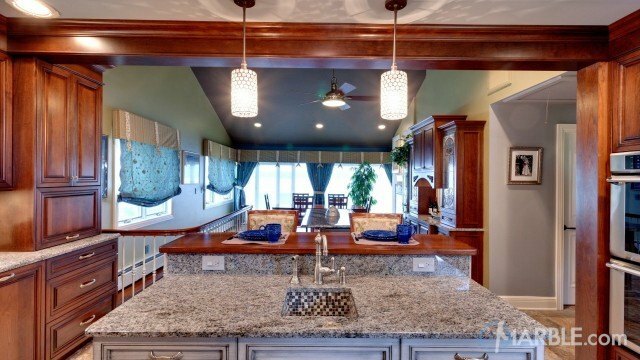 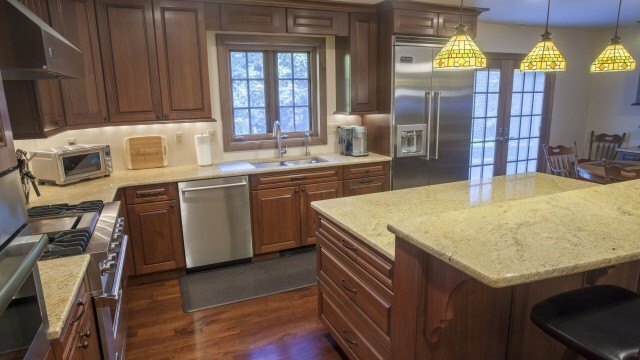 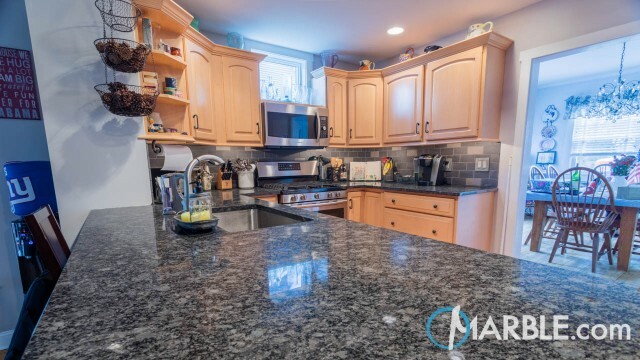 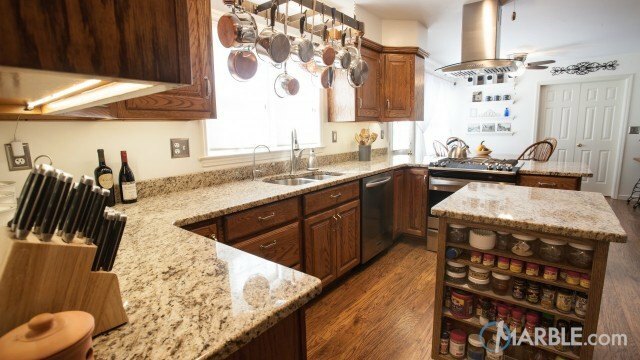 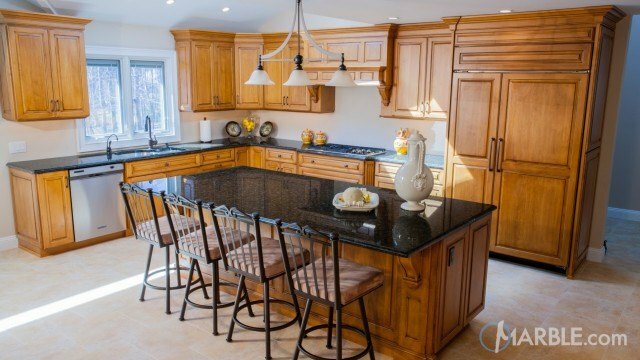 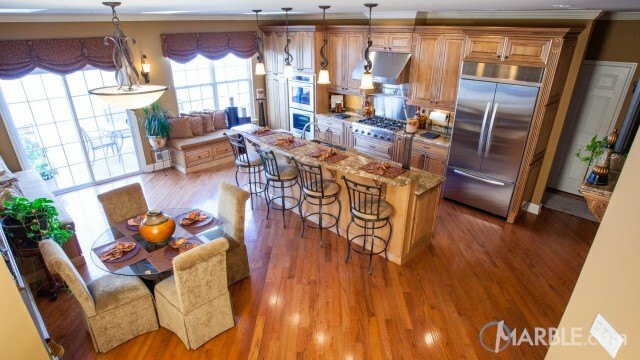 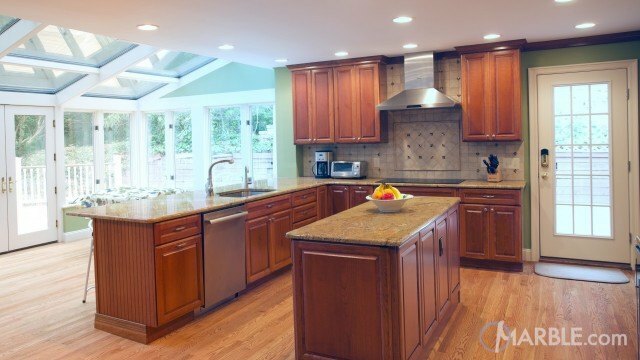 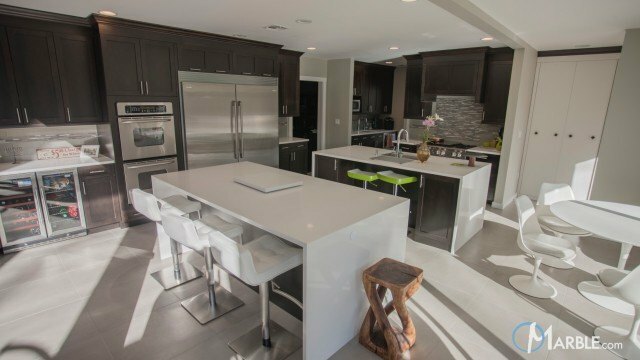 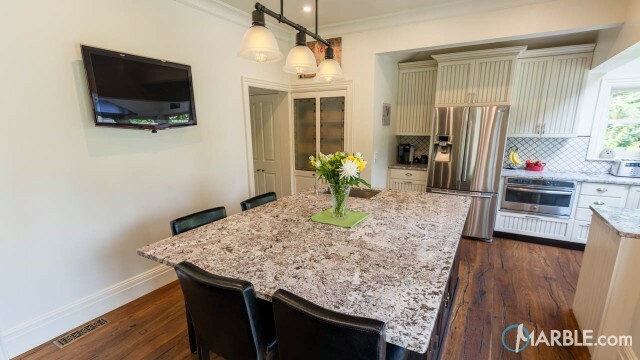 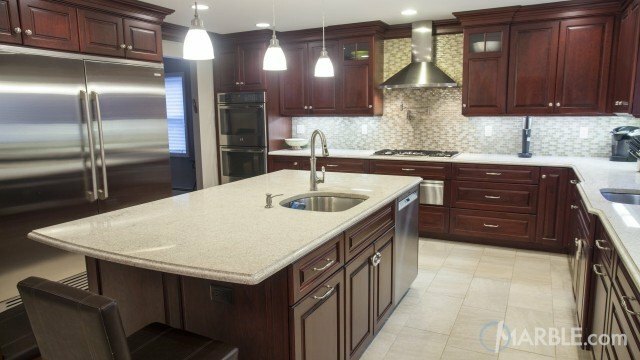 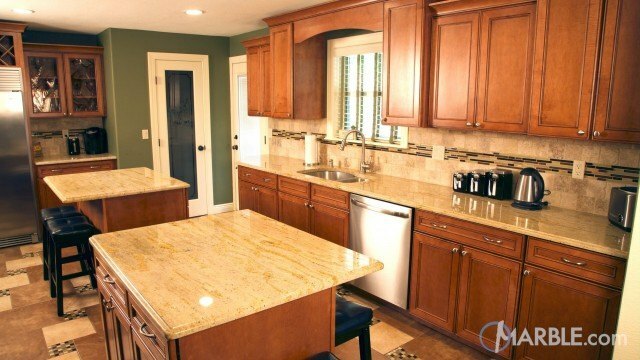 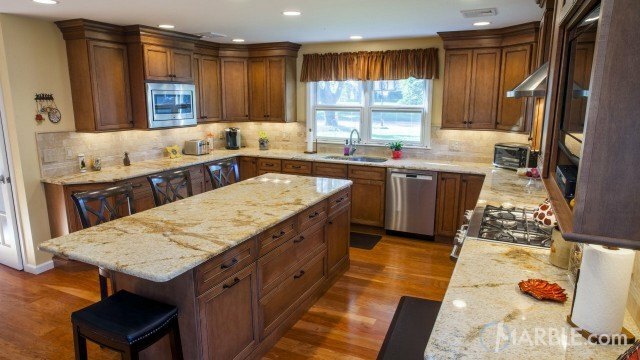 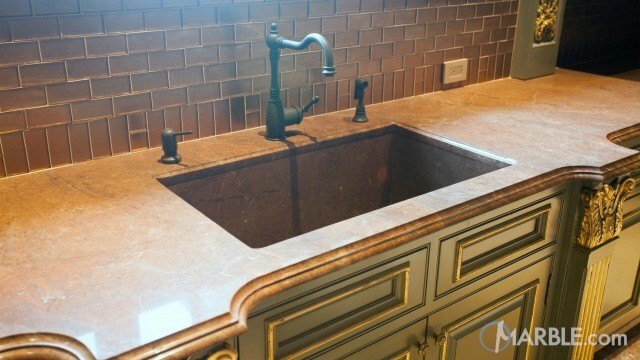 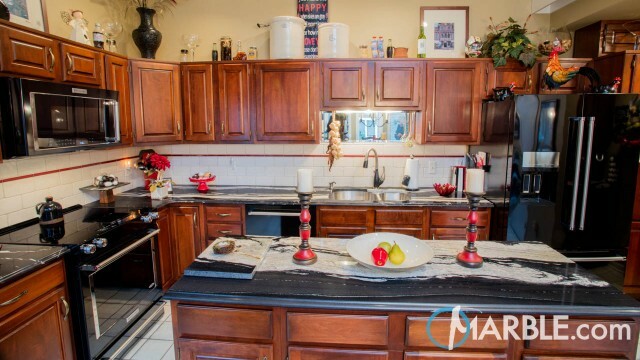 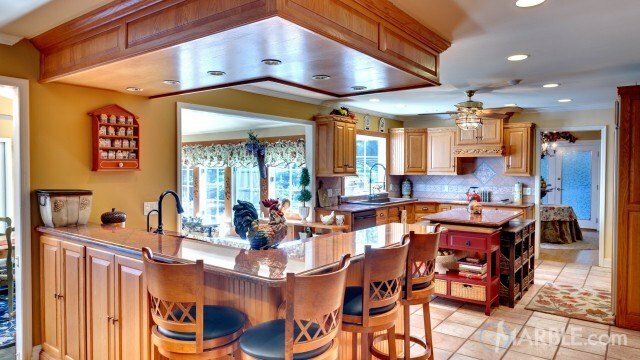 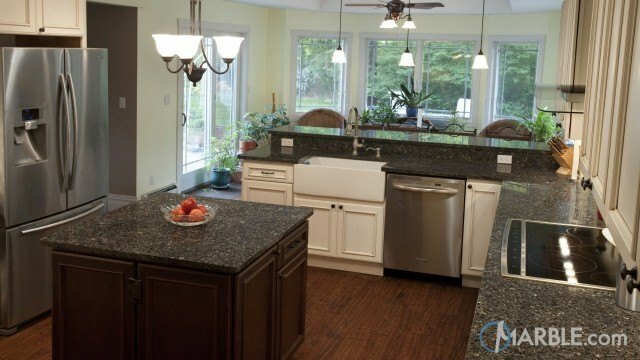 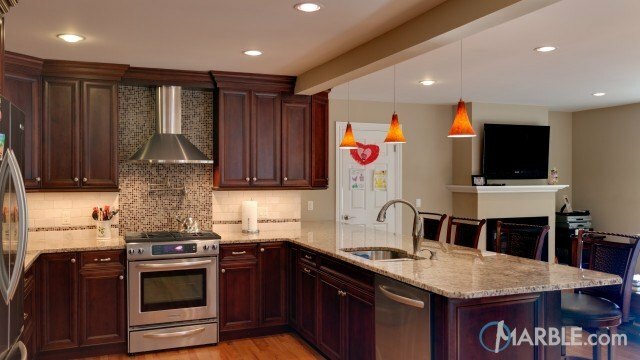 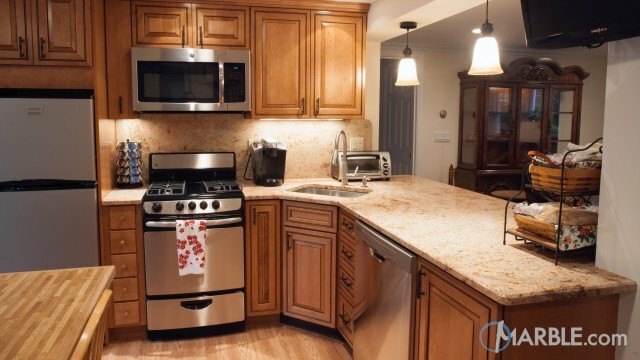 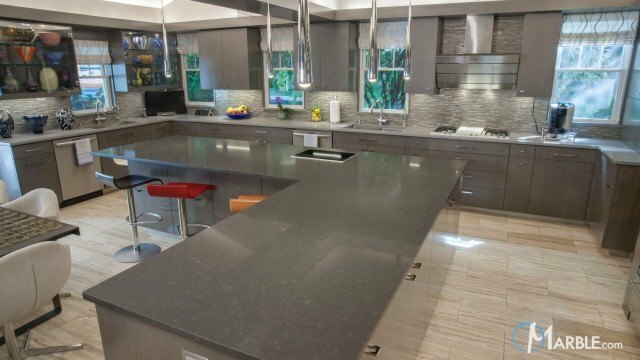 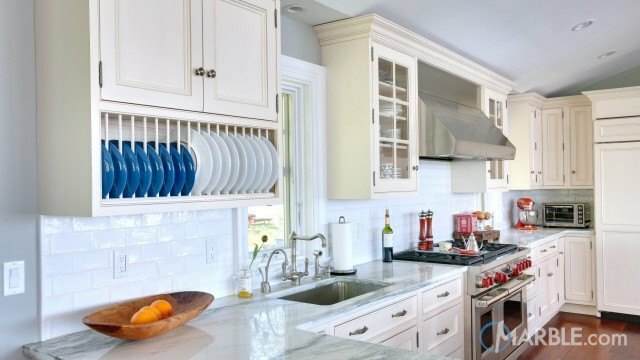 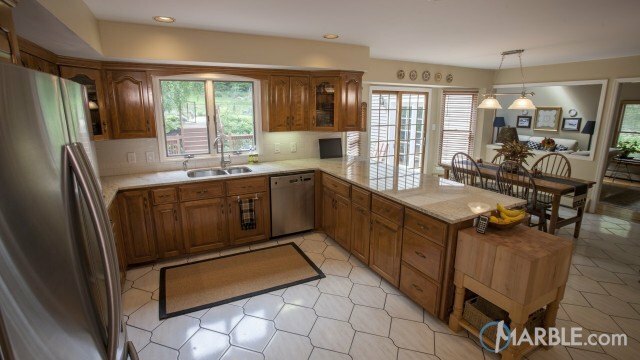 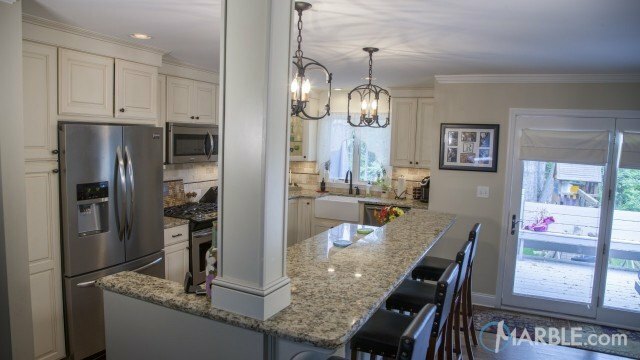 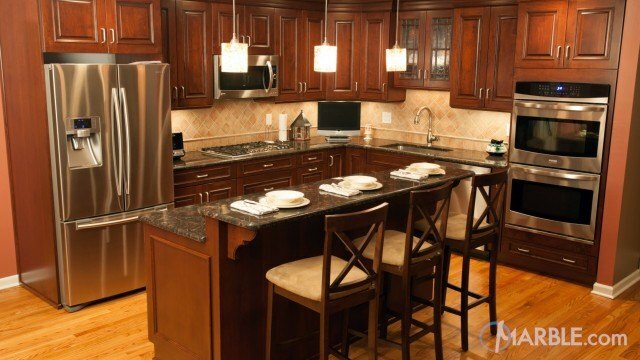 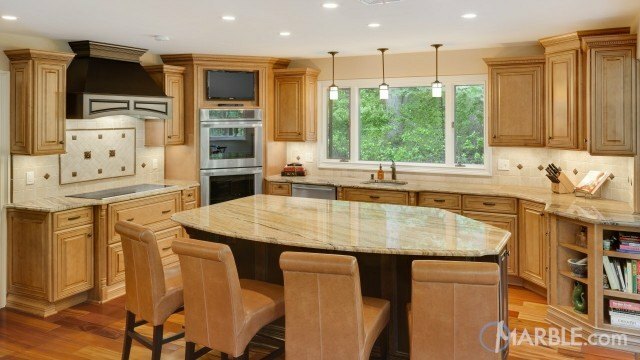 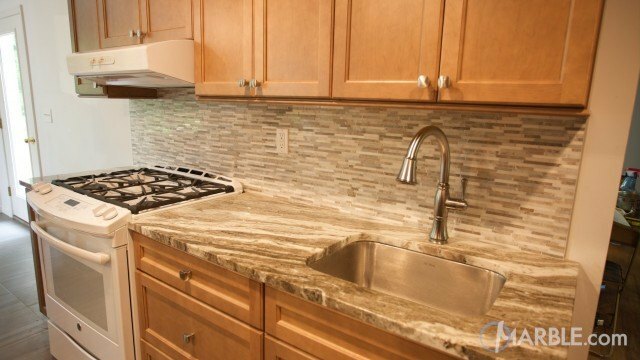 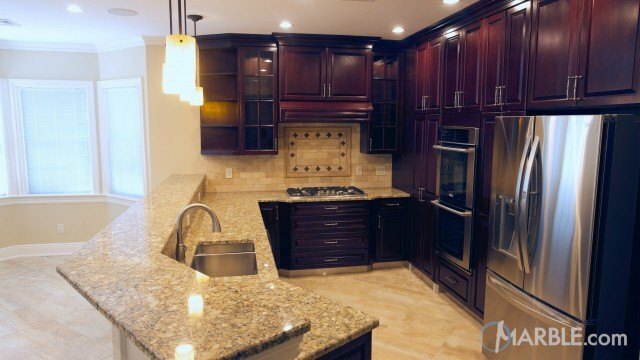 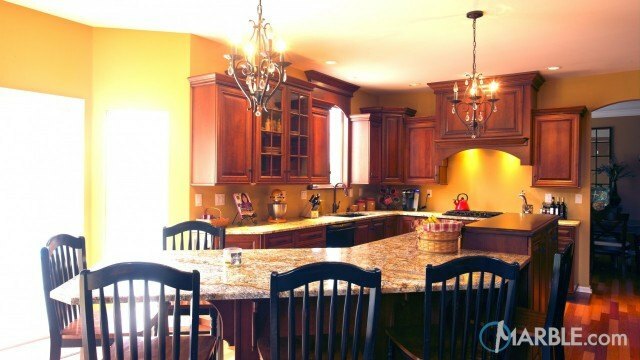 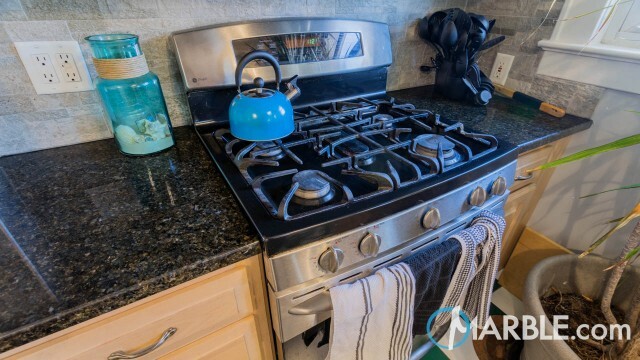 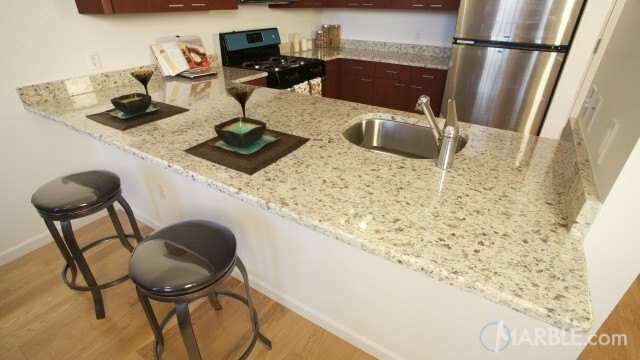 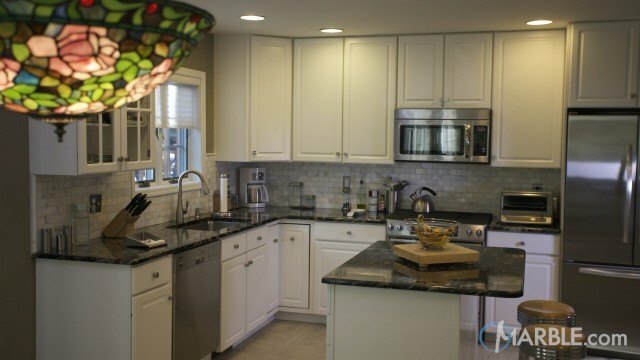 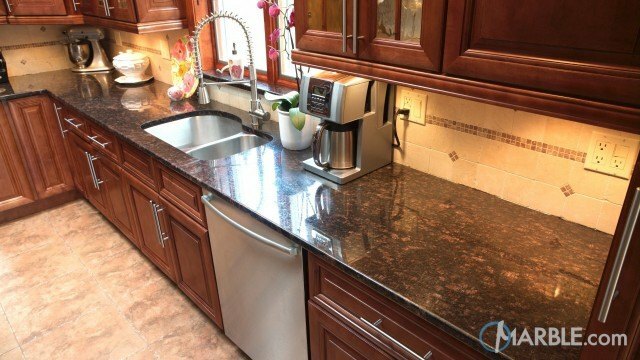 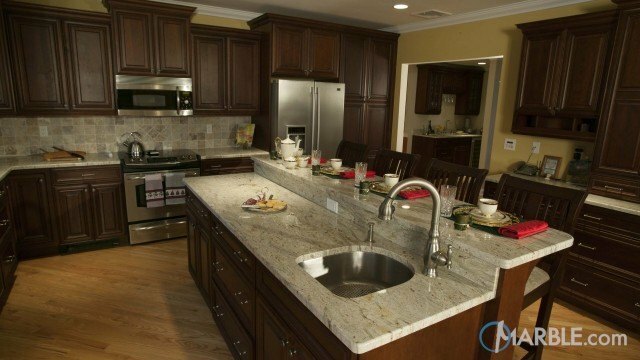 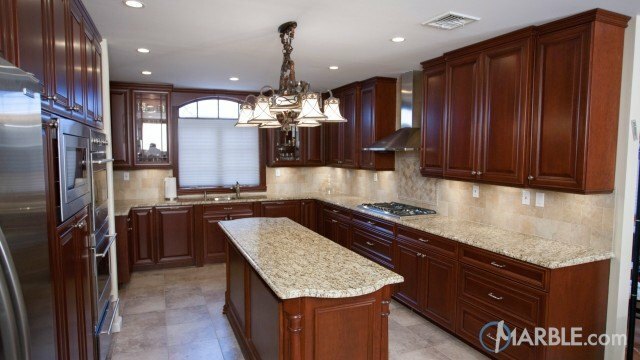 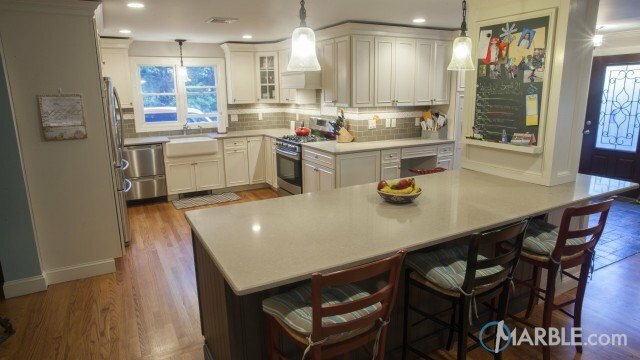 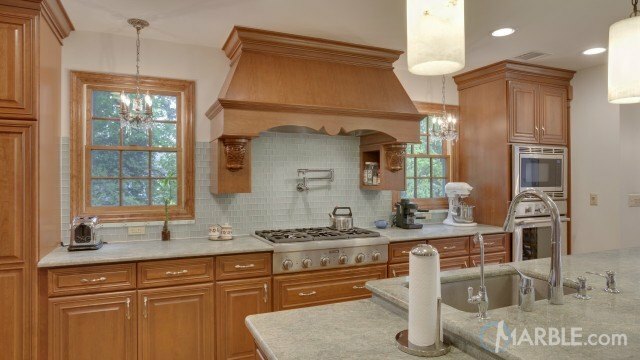 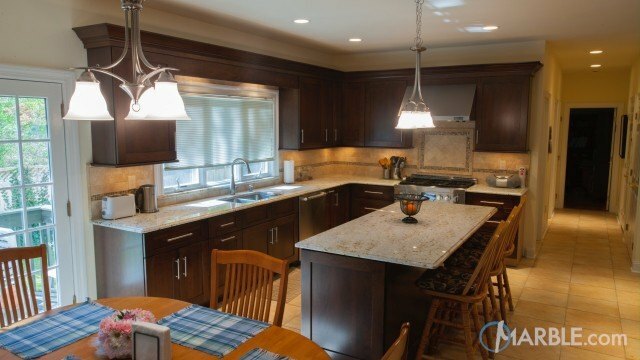 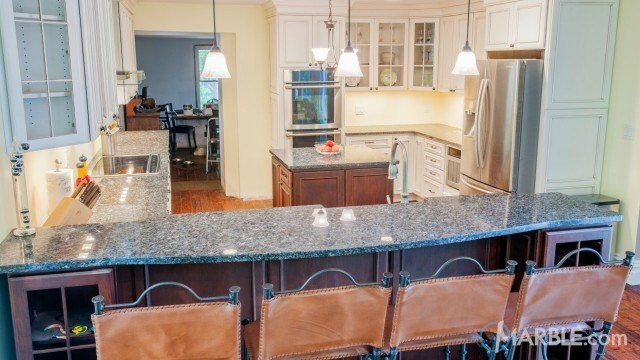 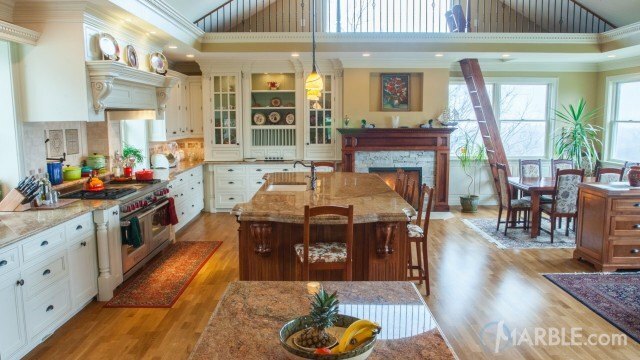 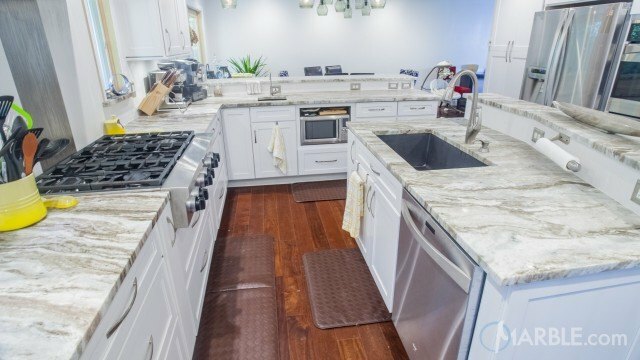 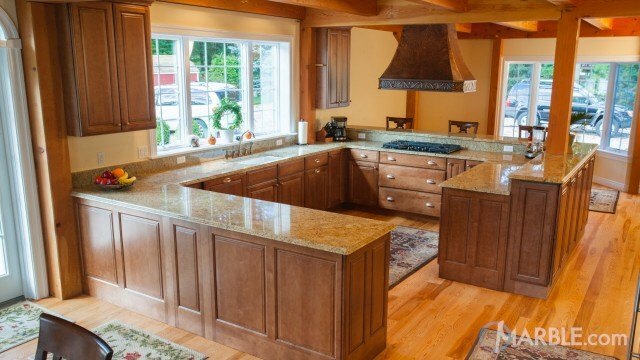 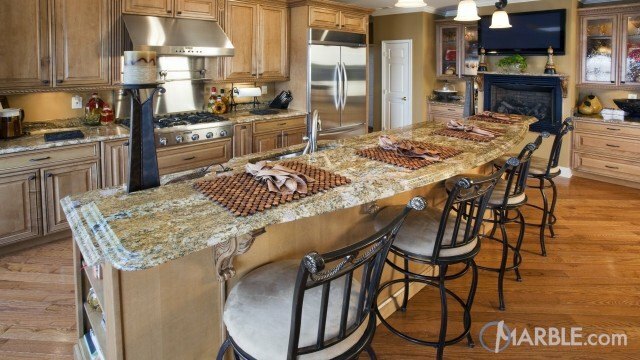 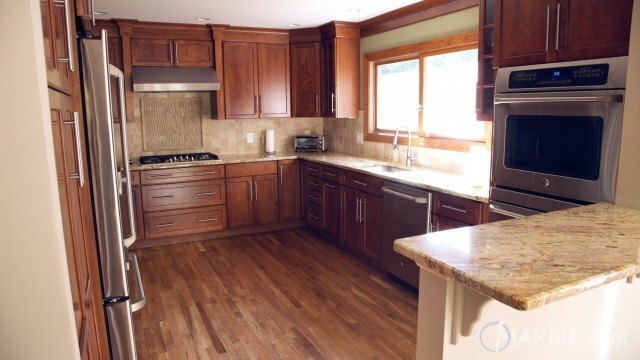 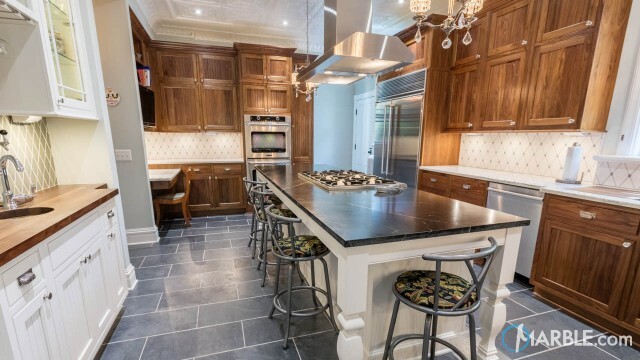 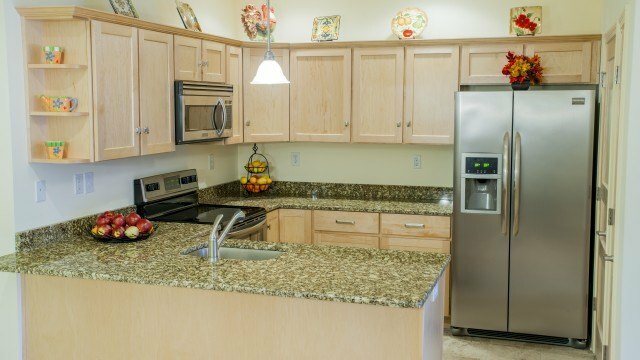 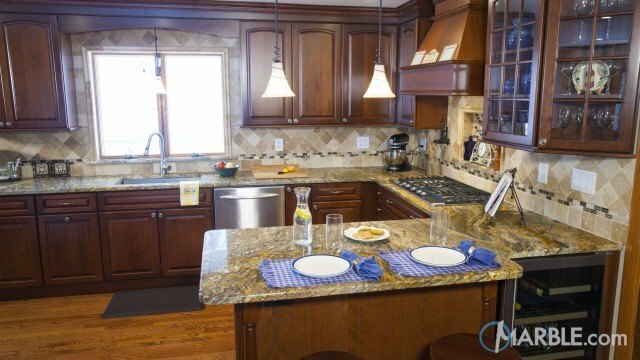 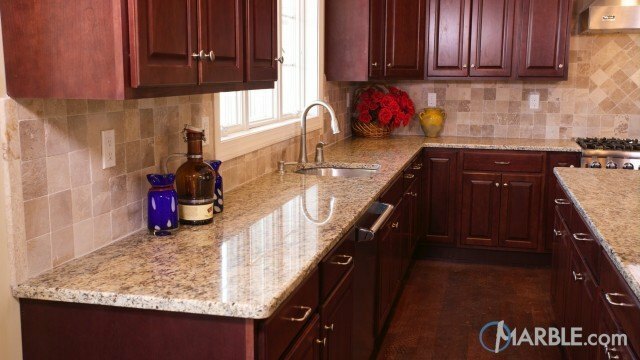 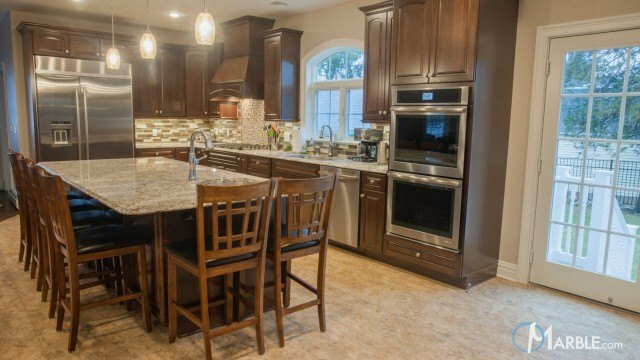 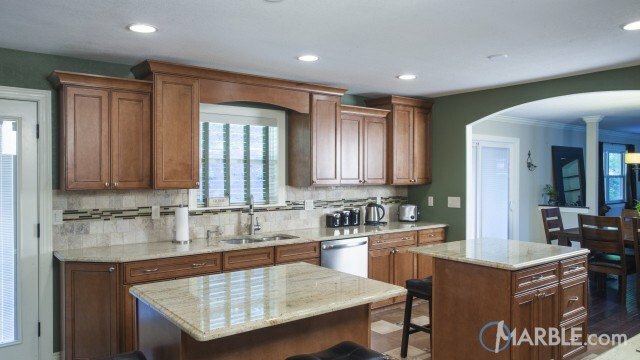 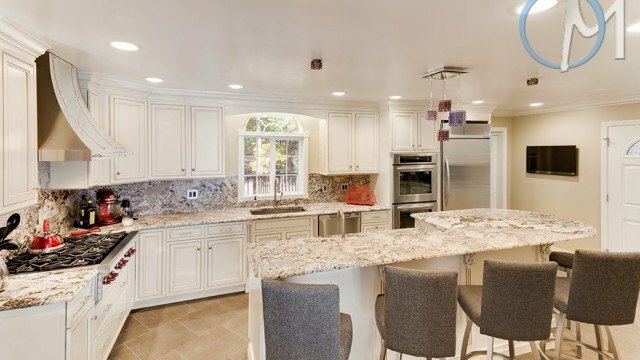 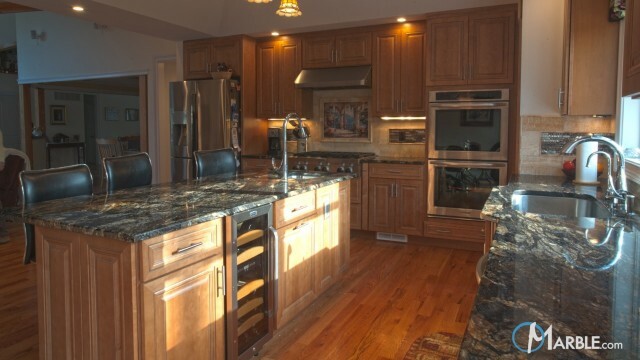 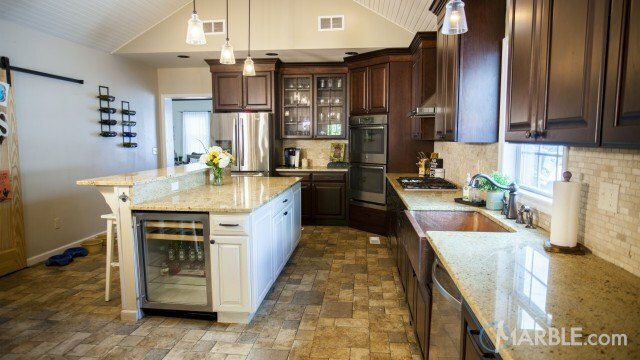 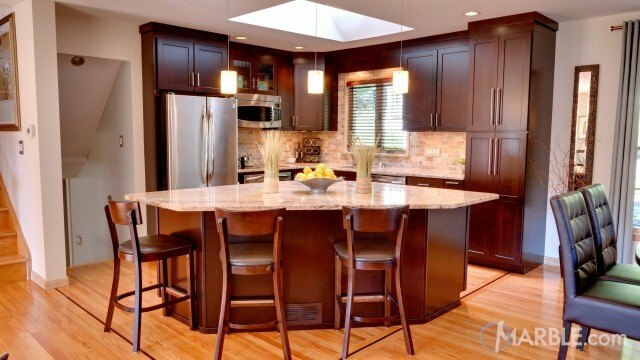 Separate work areas including a wine bar mean that there will be ample space to prepare any meal.